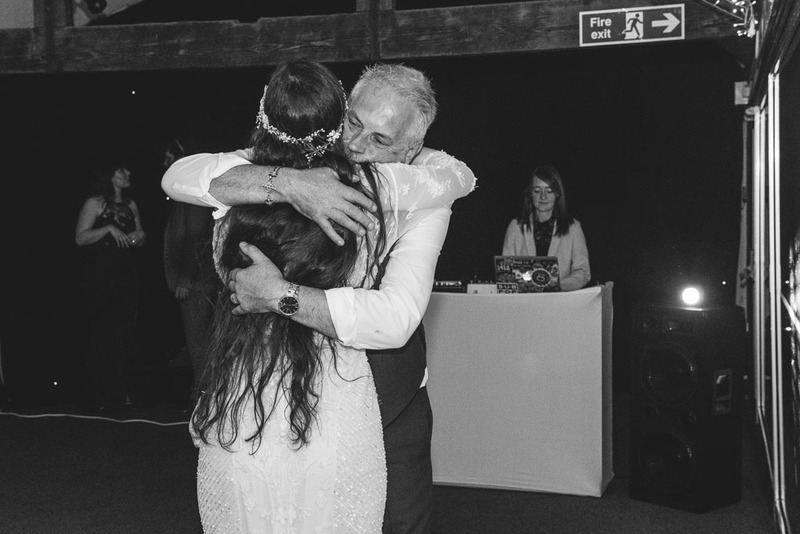 Sometimes perfect moments just happen. 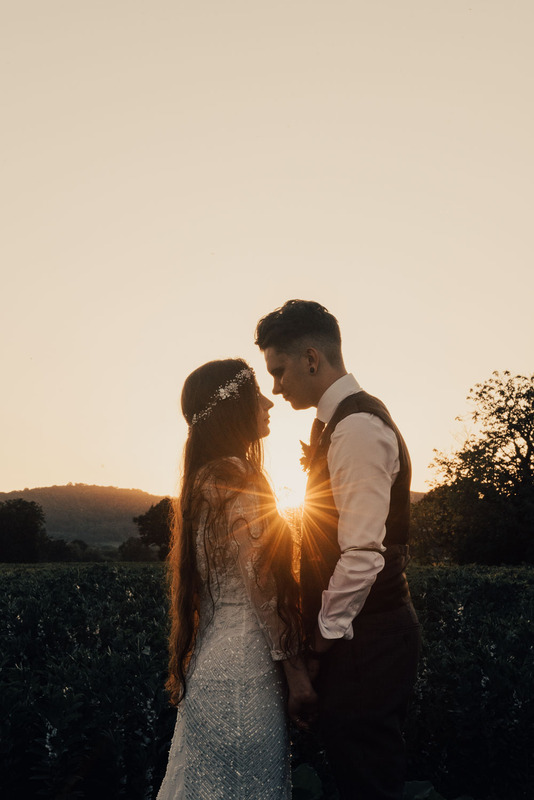 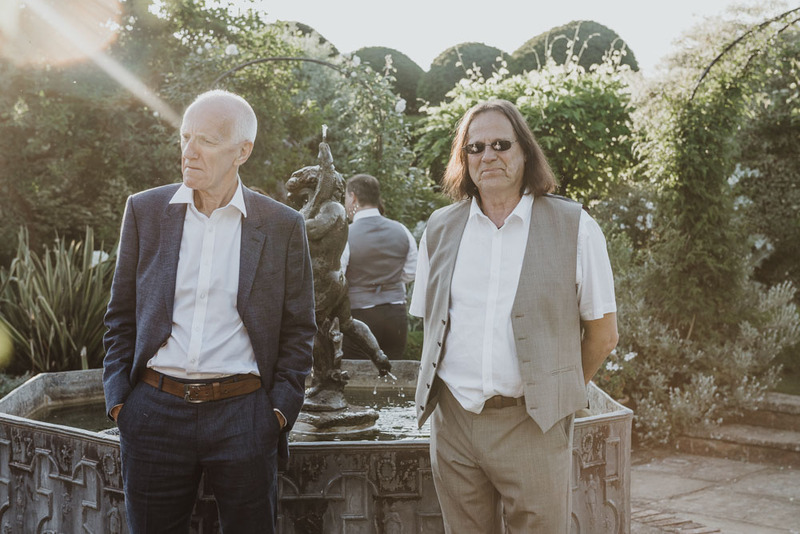 The sunset at Ellie and Fraser's wedding at Birtsmorton Court was just that. 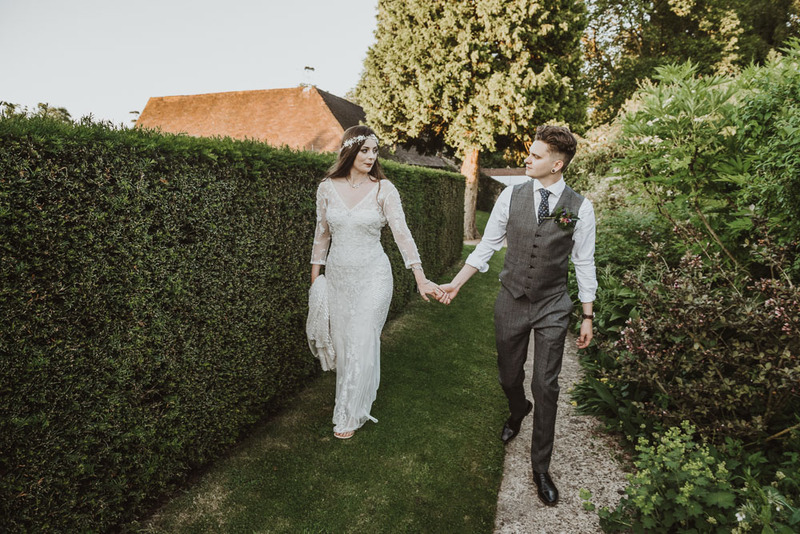 After a day of celebration and happiness, the perfect light just appeared as we headed out for some final photographs of the happy couple. 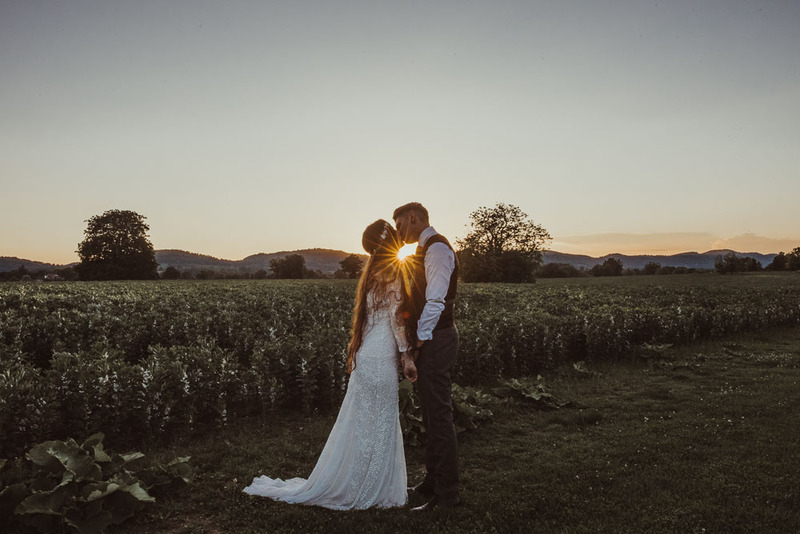 Lets say I'm a big fan of sunsets! 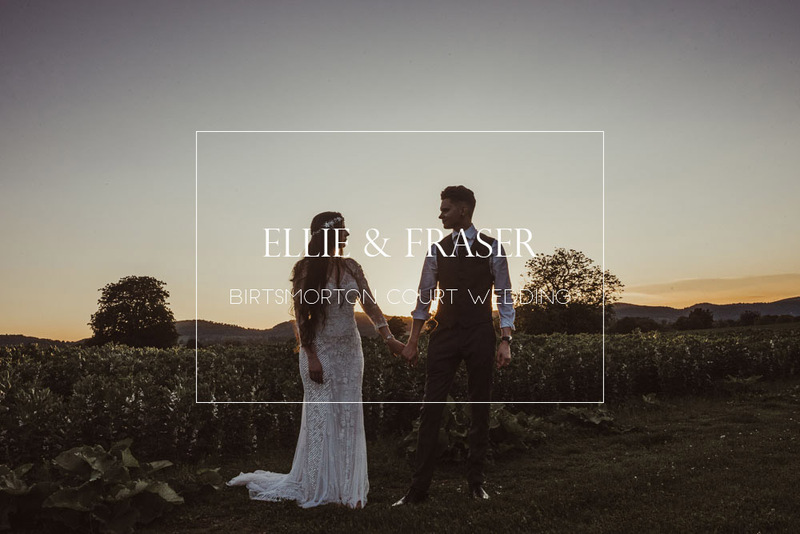 Ever since I first met up to discuss their wedding plans, Ellie and Fraser were very specific about the style of their wedding. 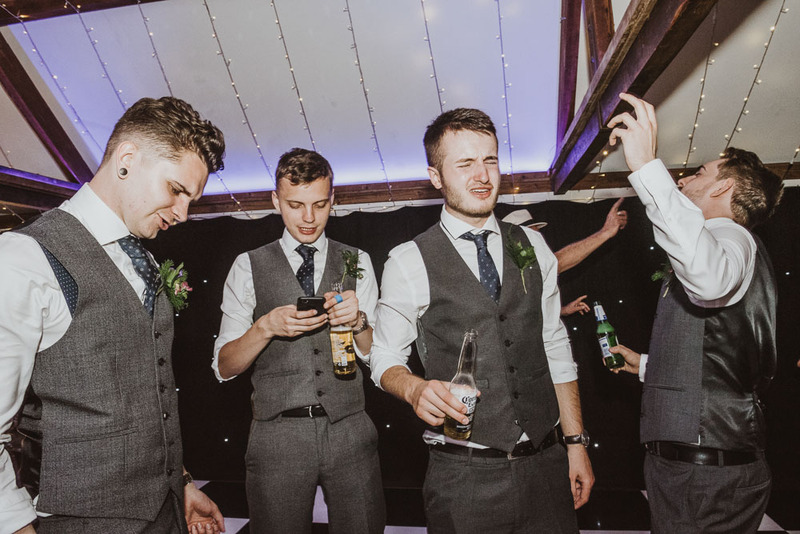 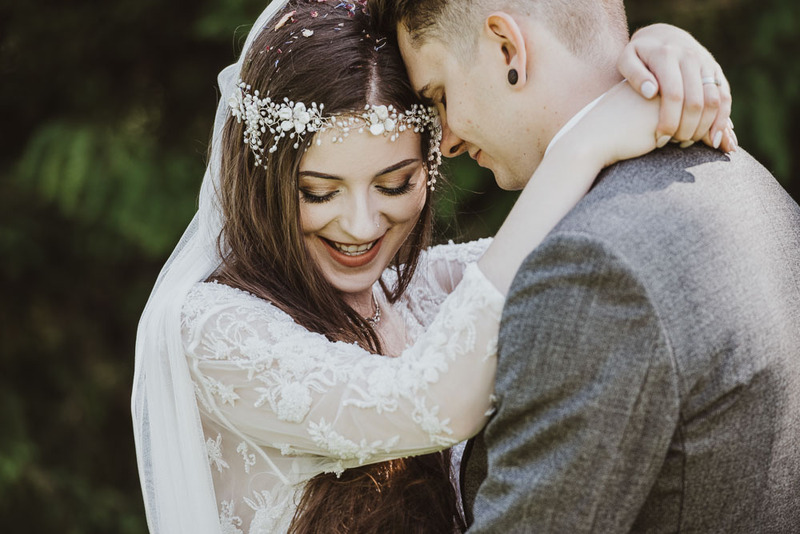 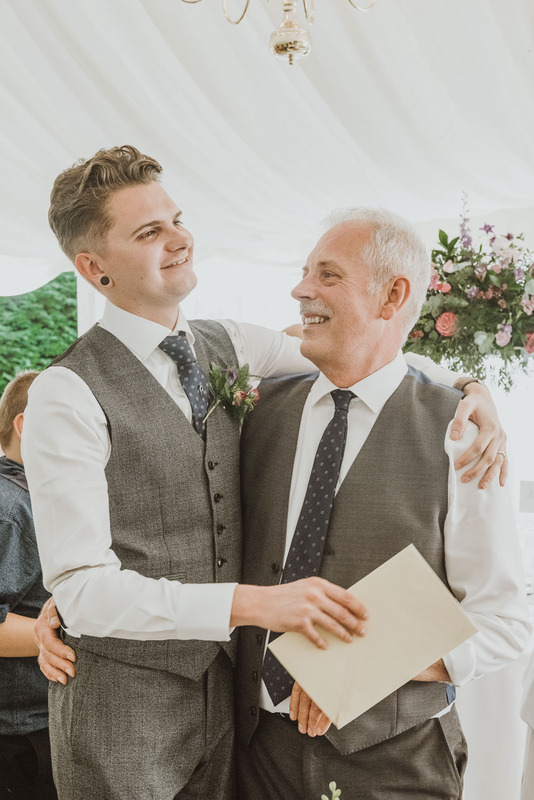 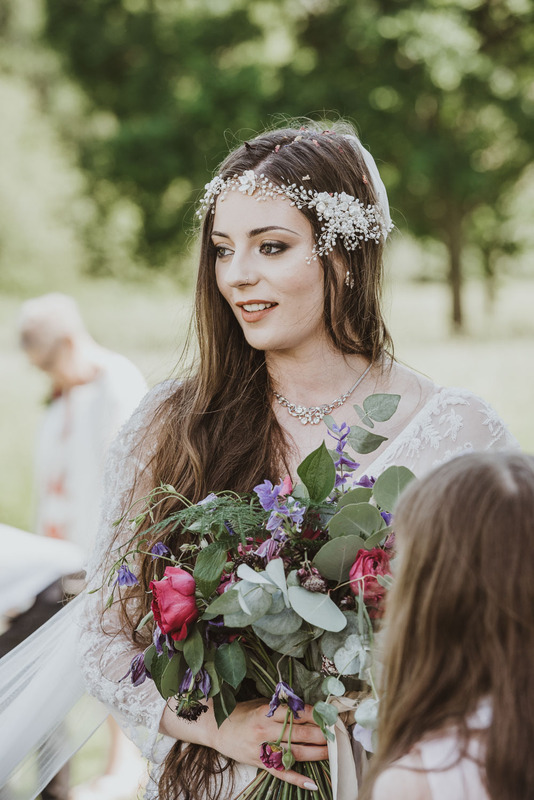 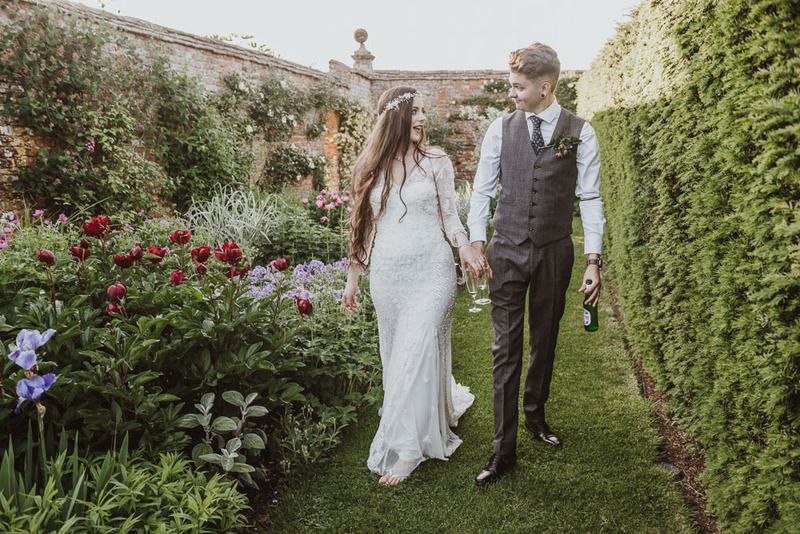 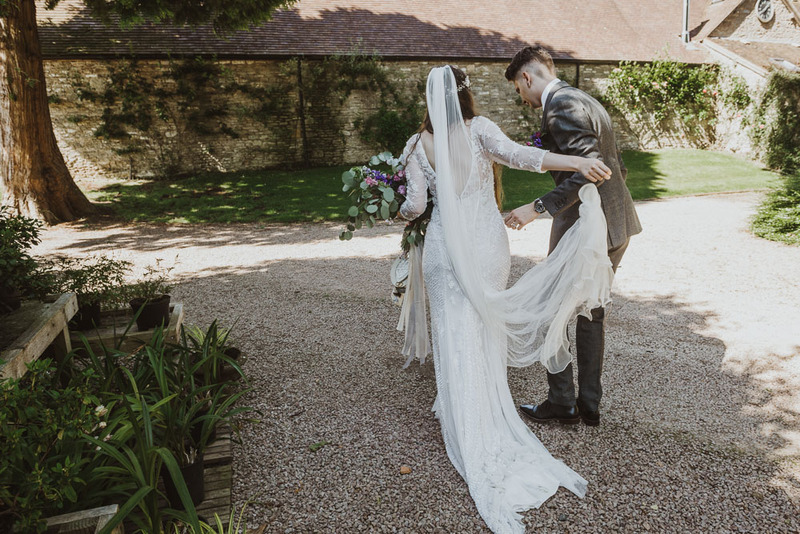 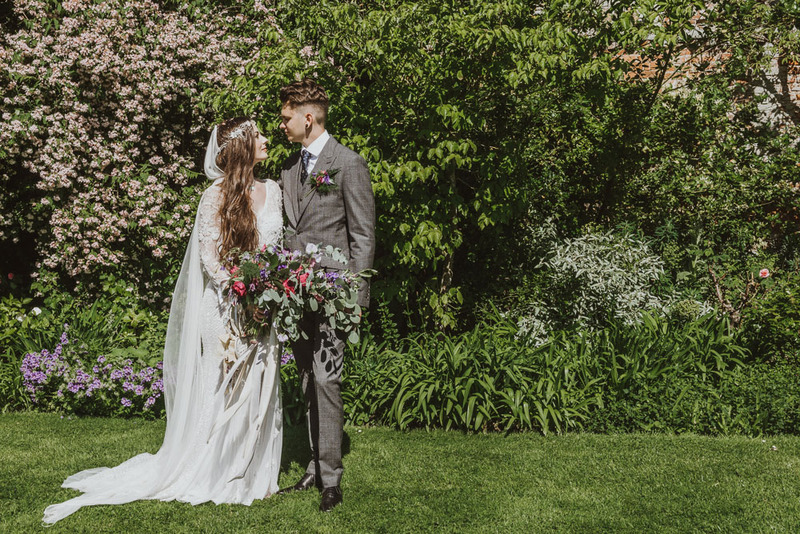 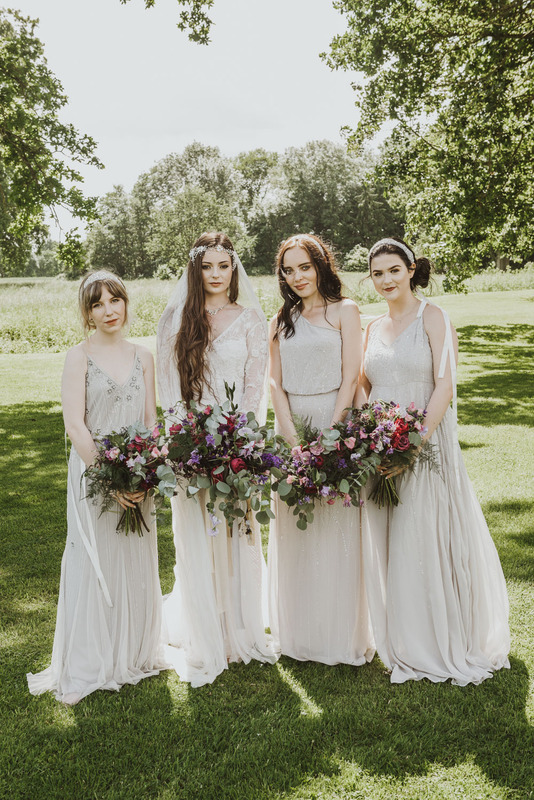 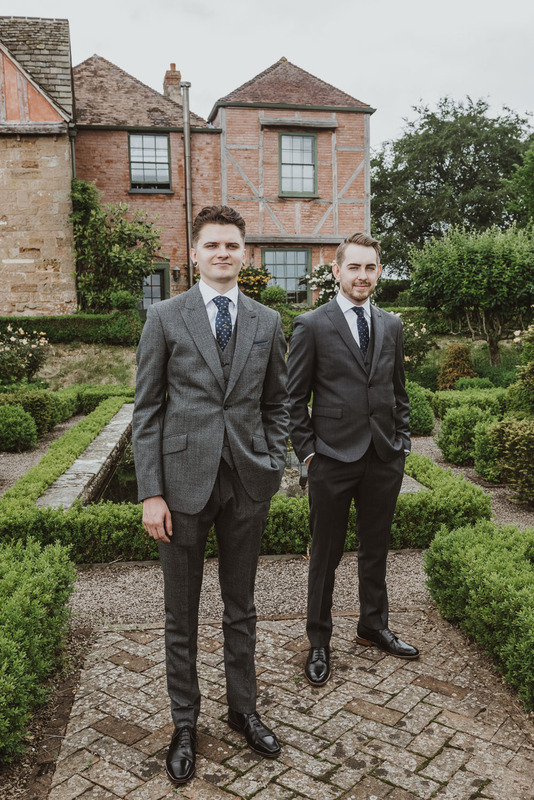 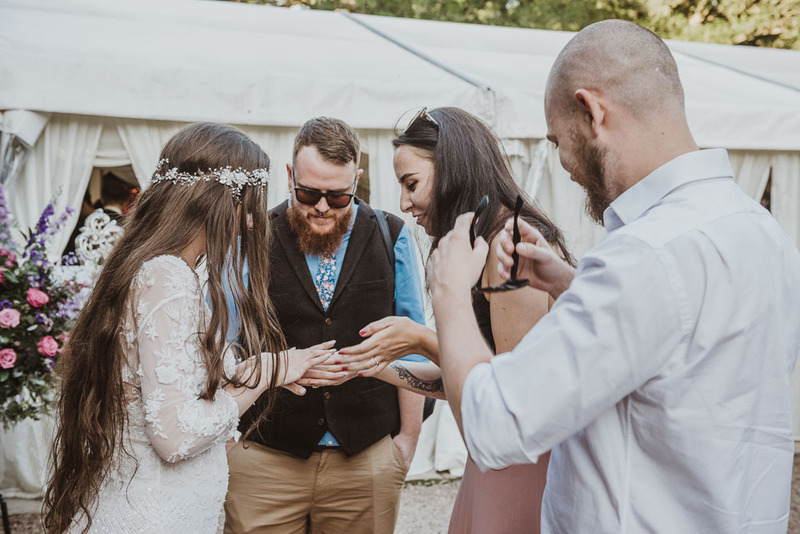 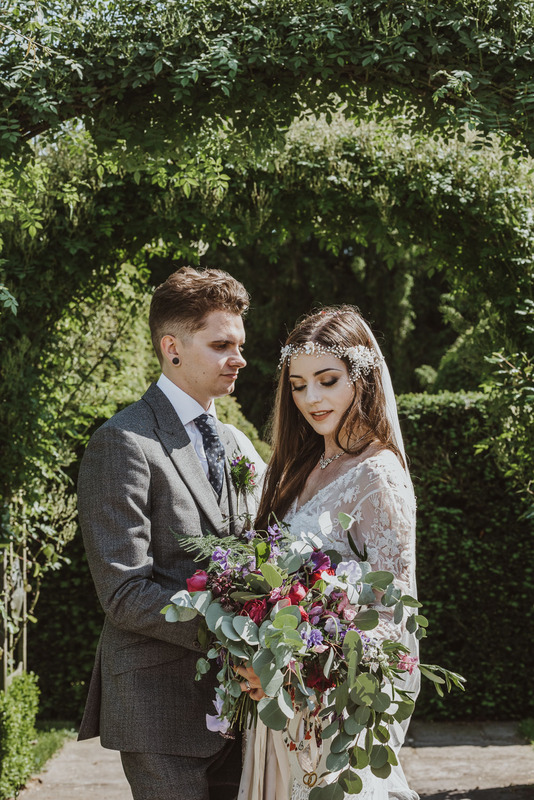 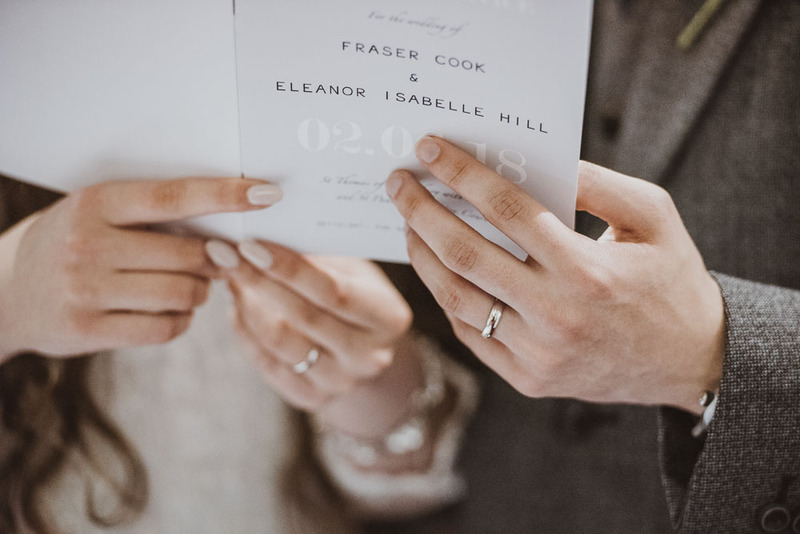 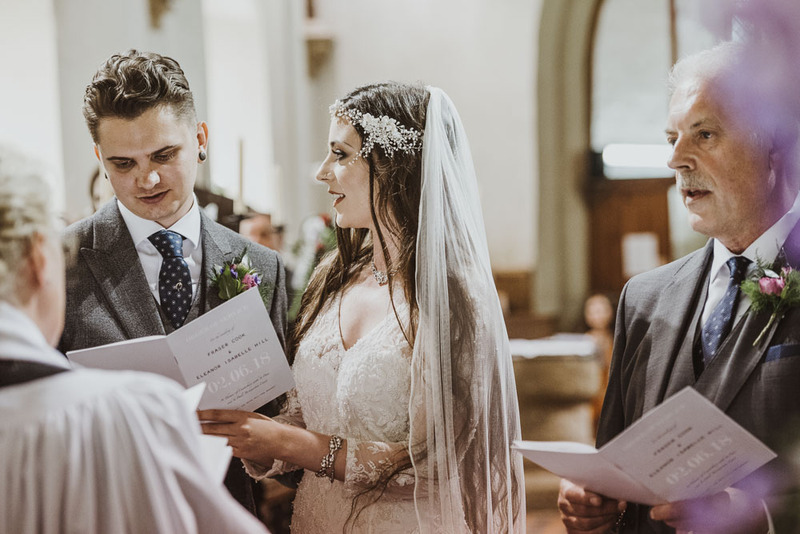 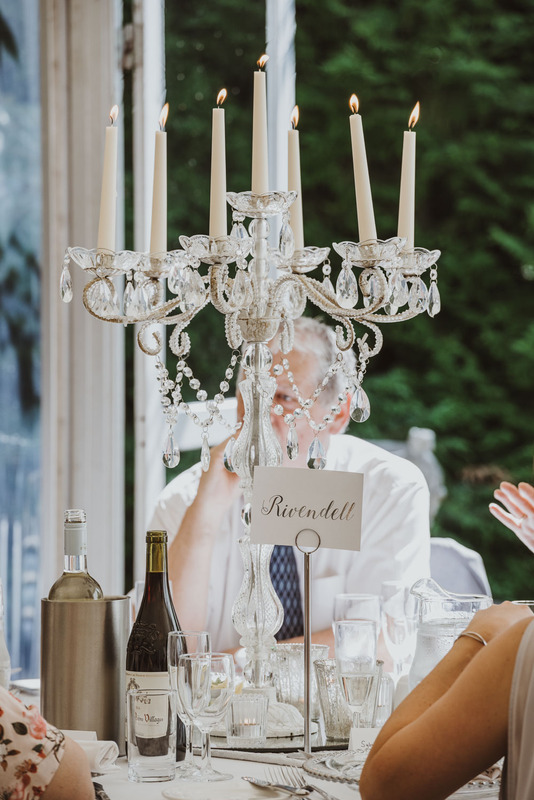 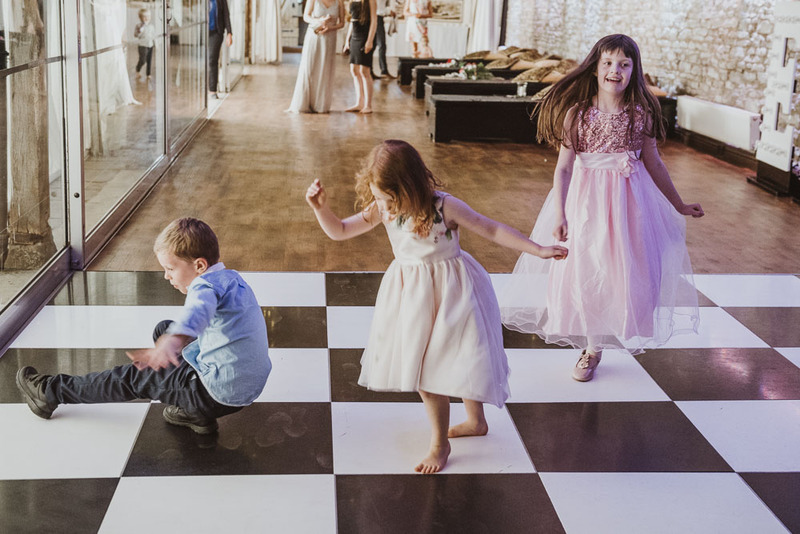 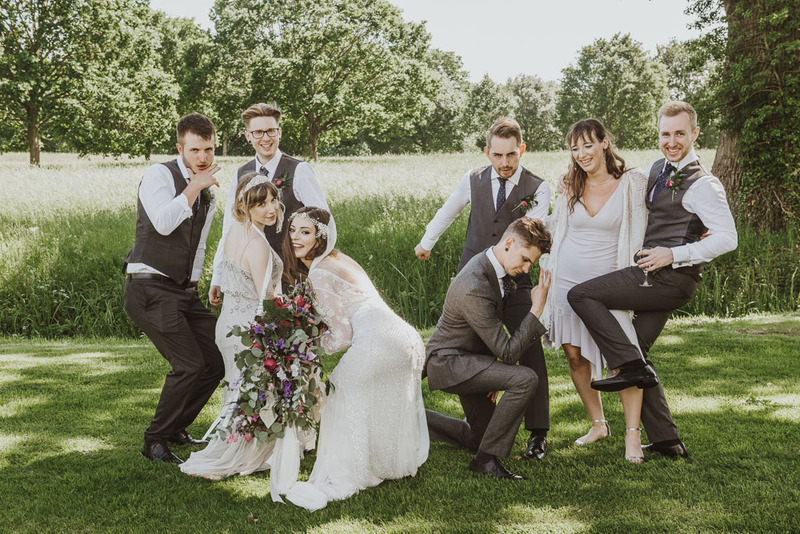 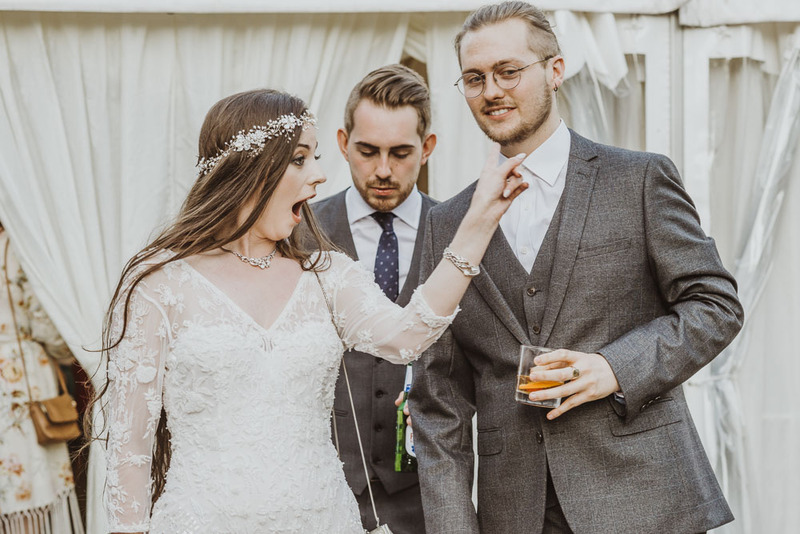 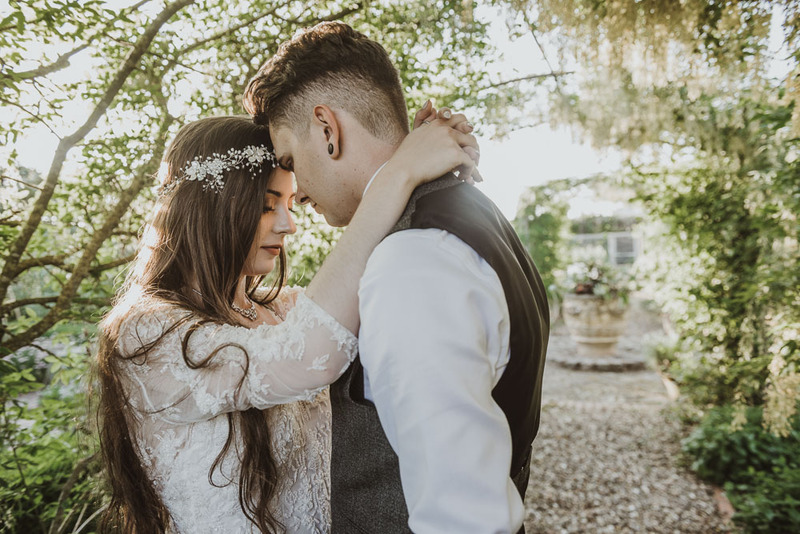 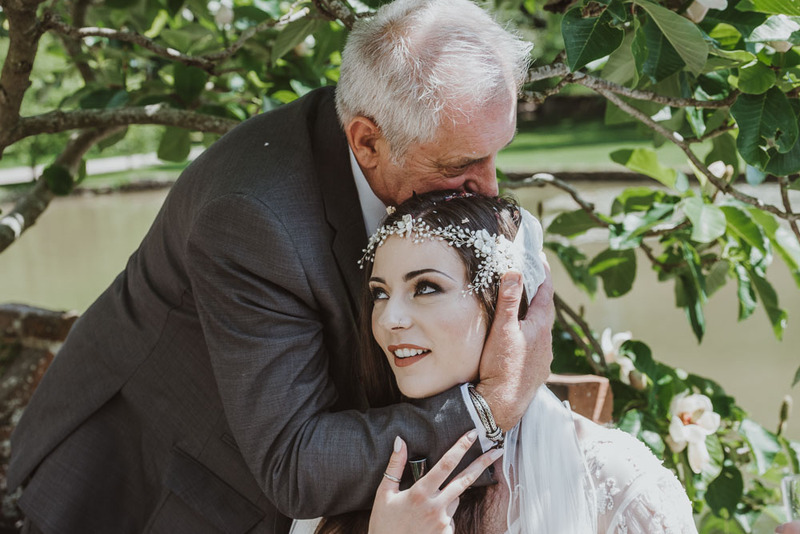 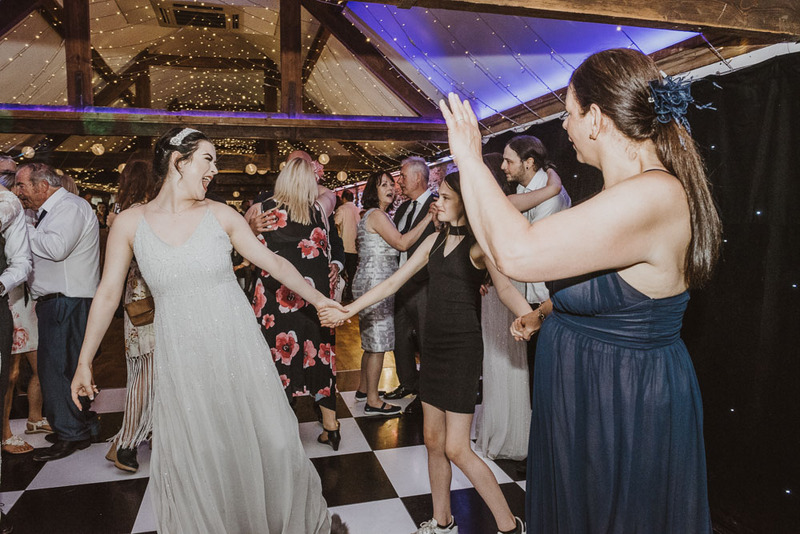 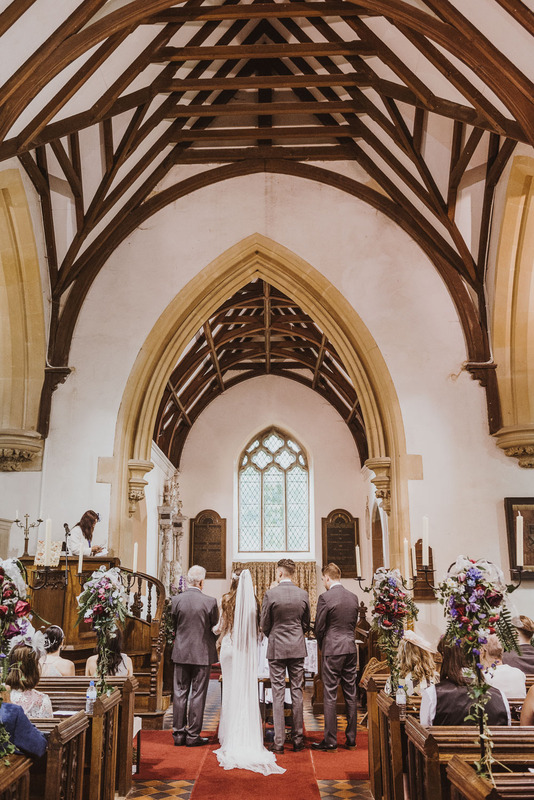 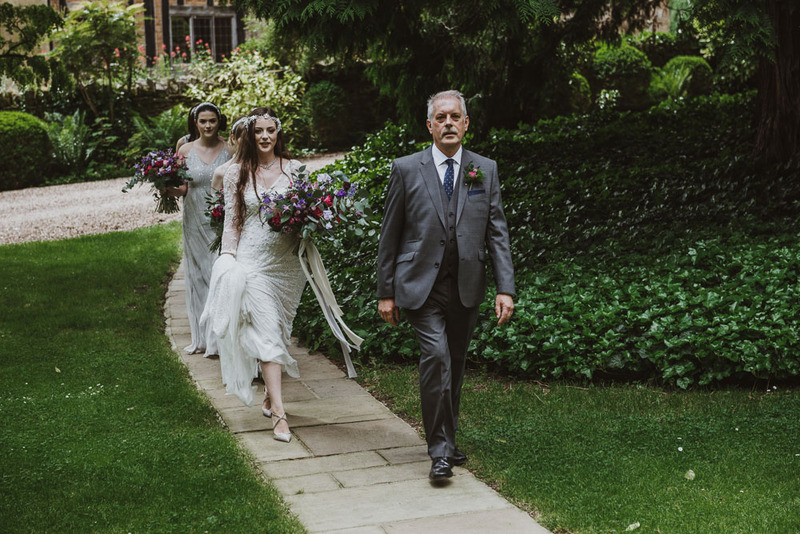 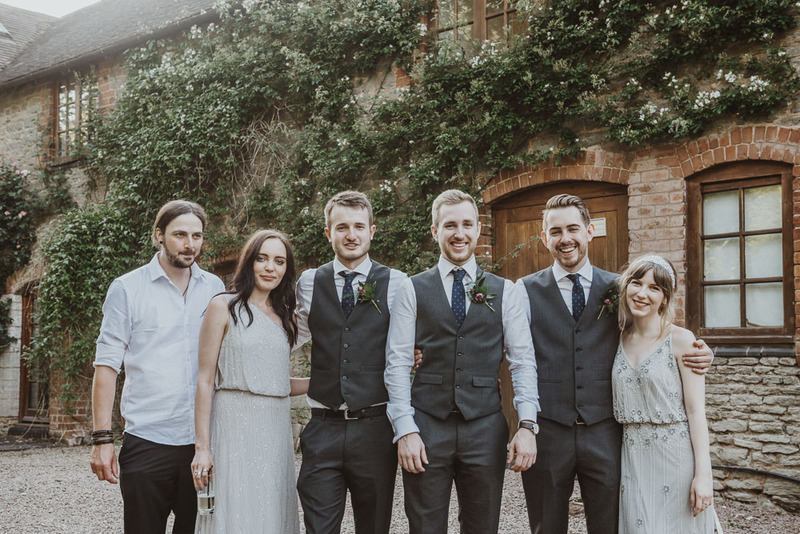 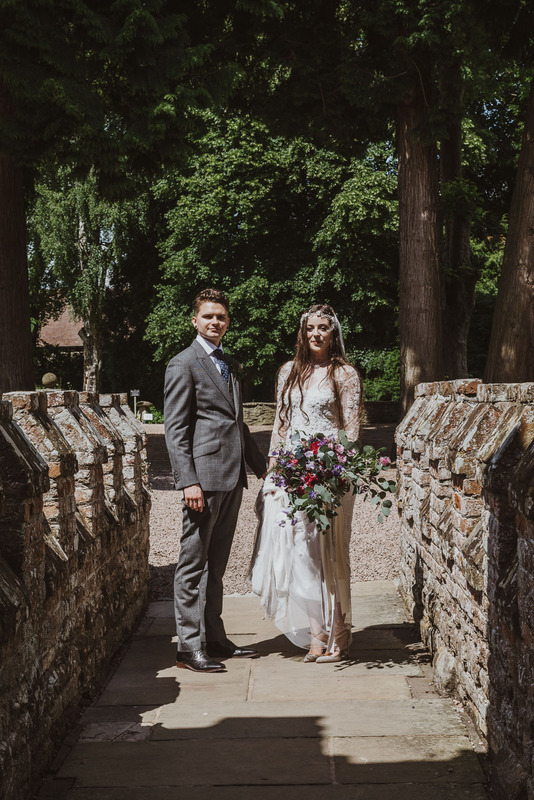 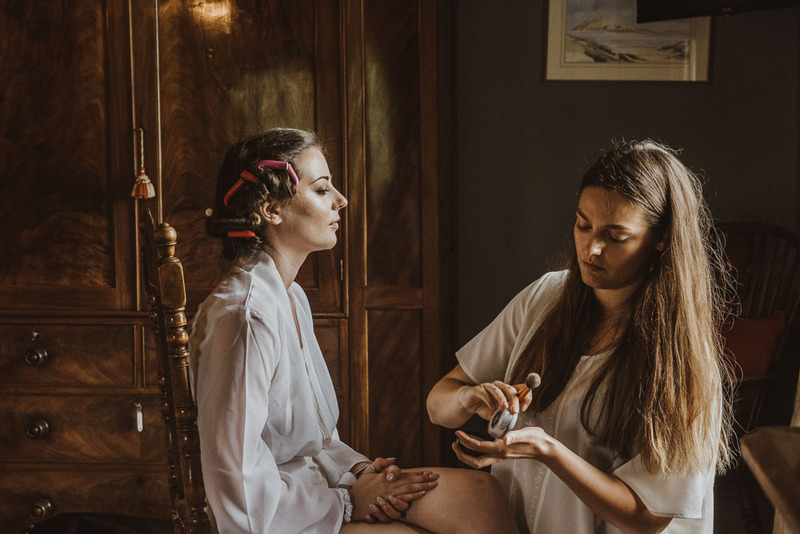 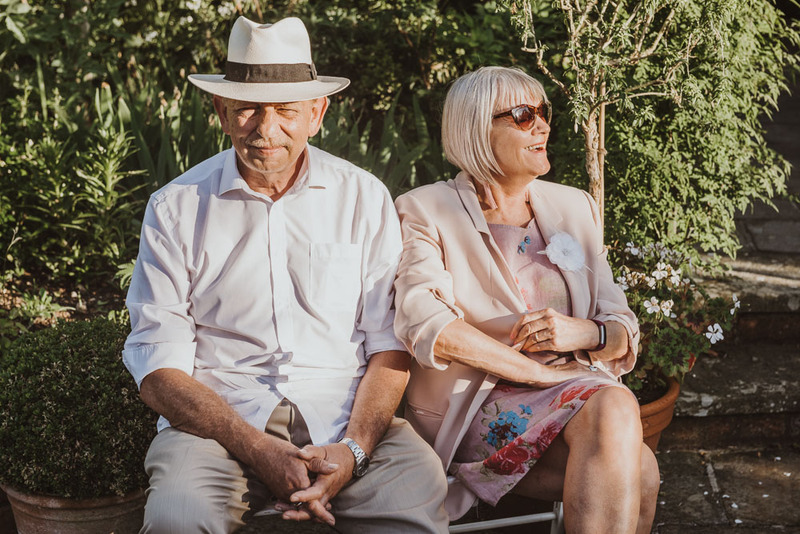 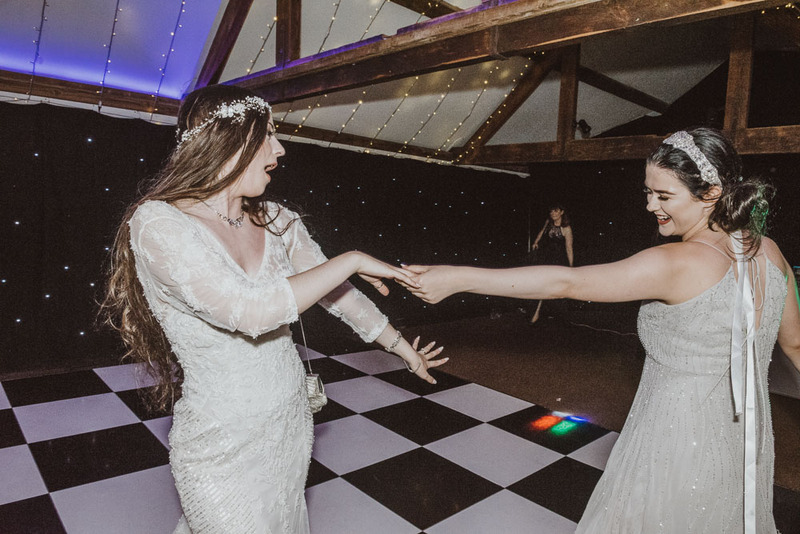 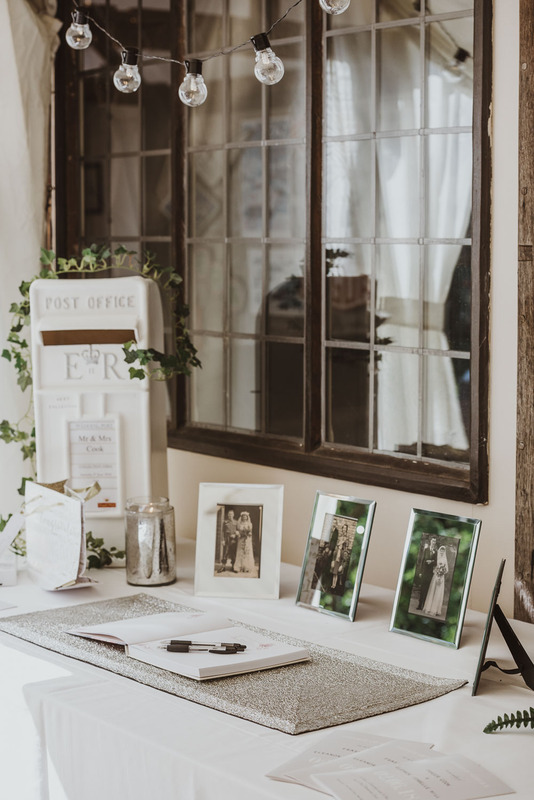 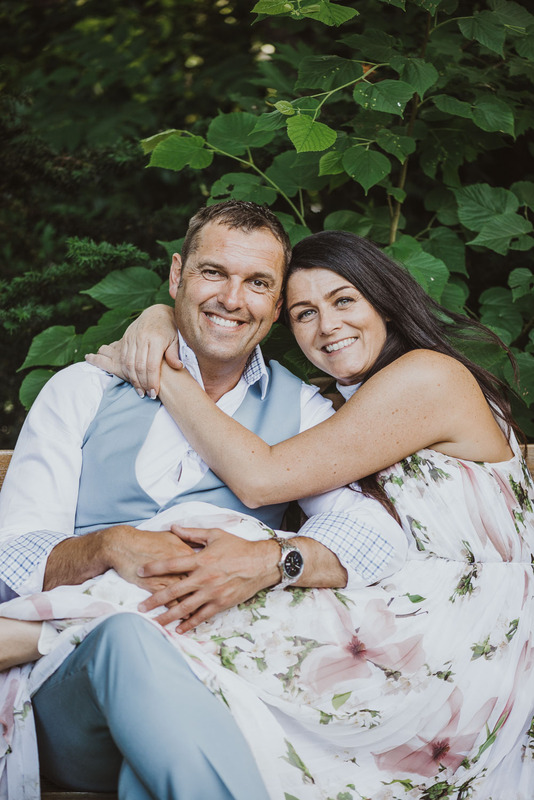 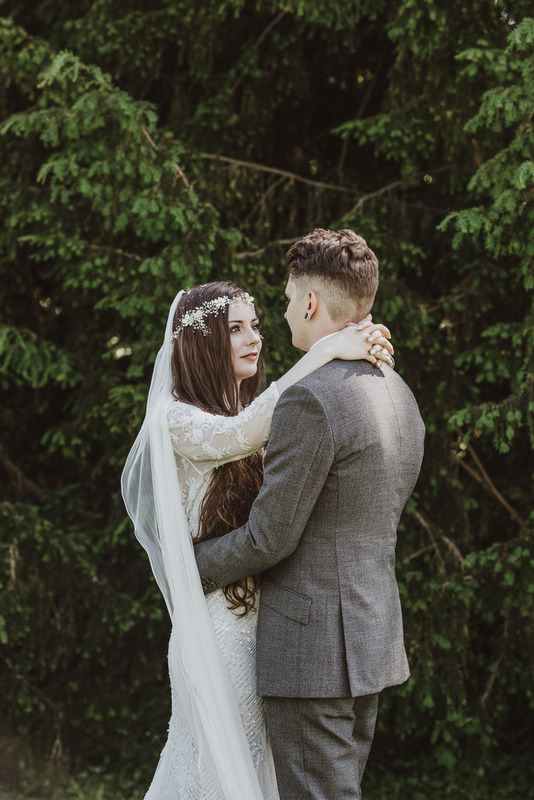 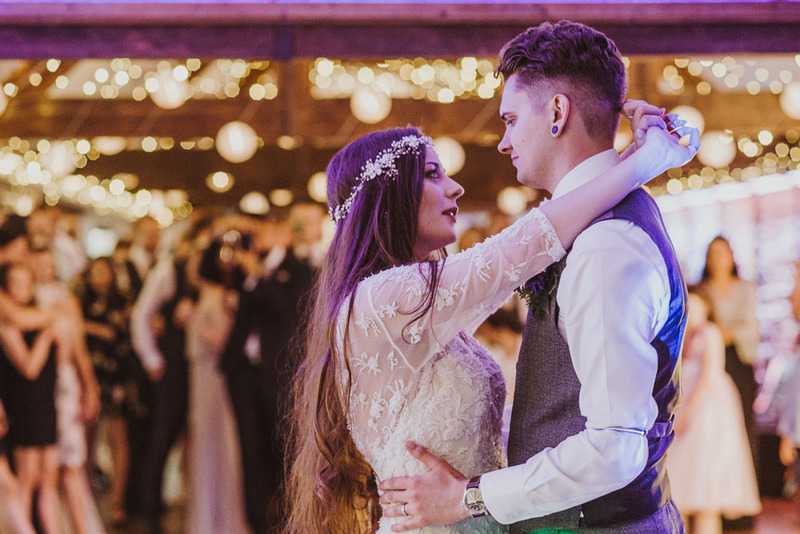 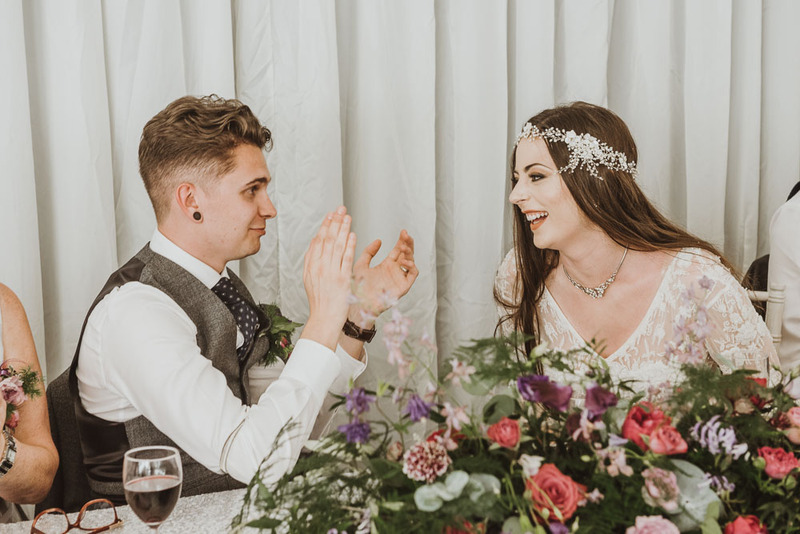 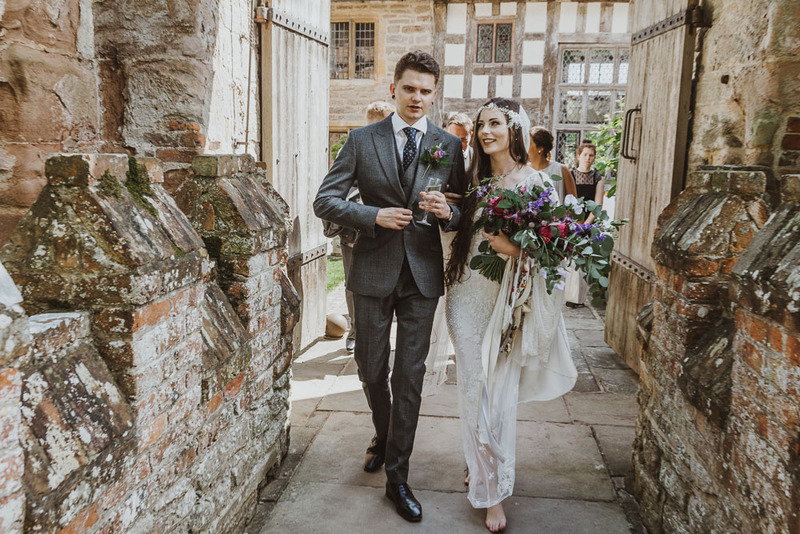 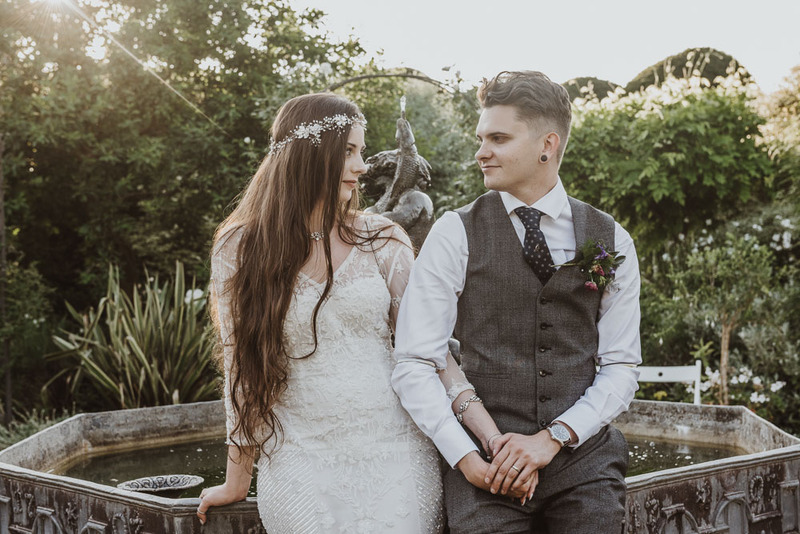 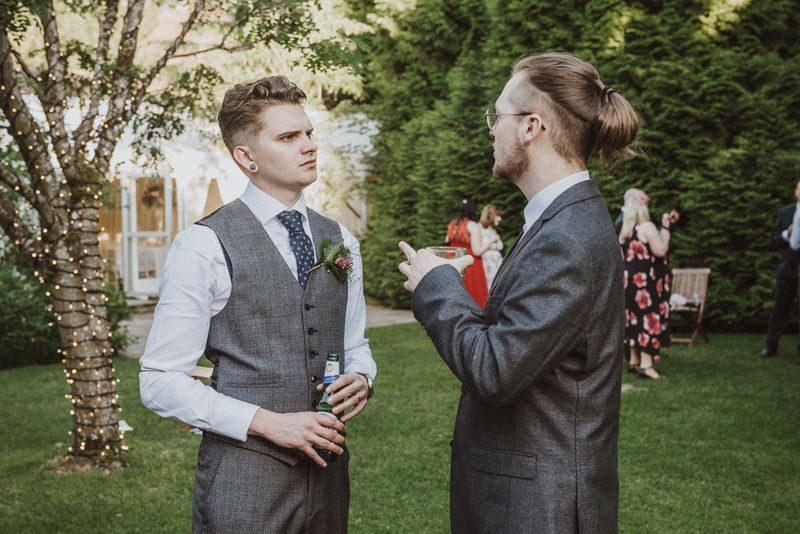 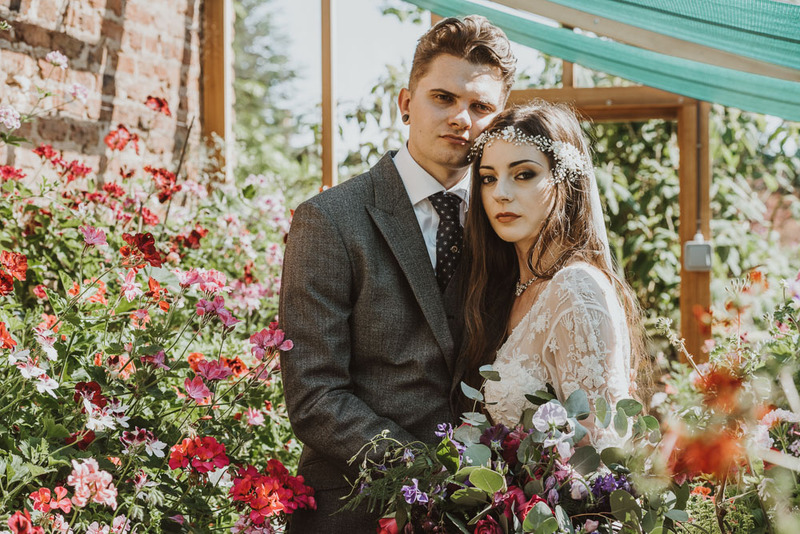 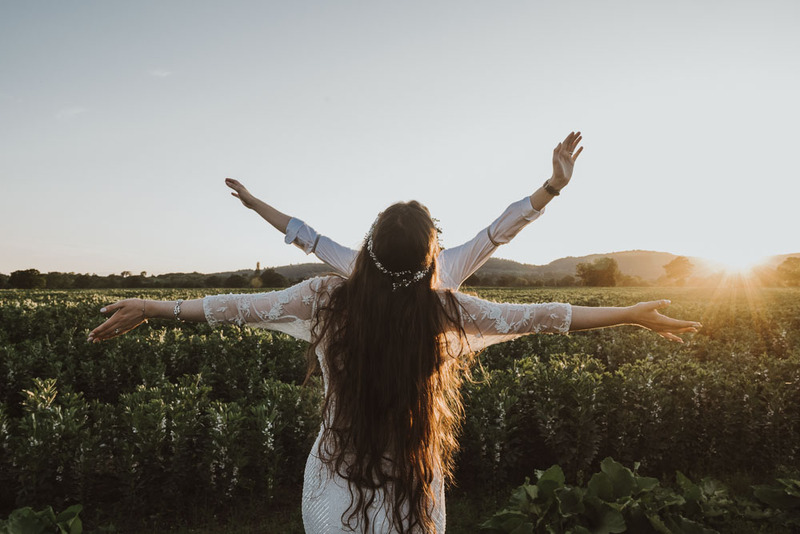 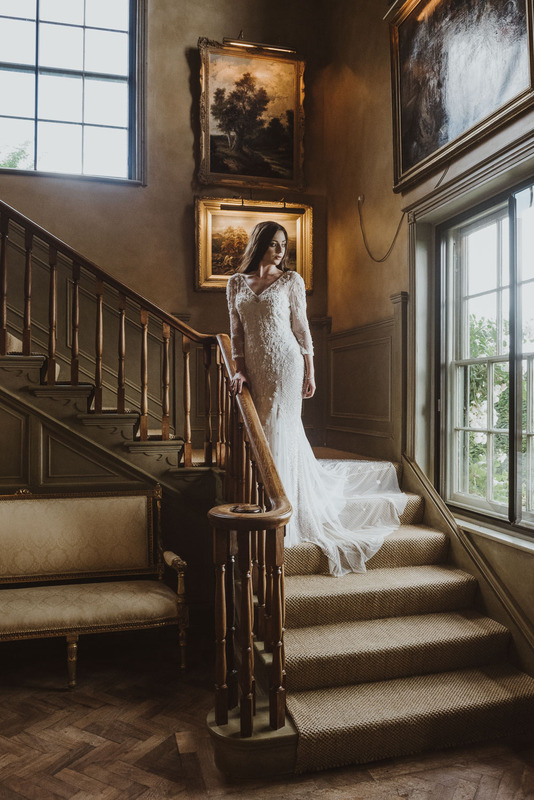 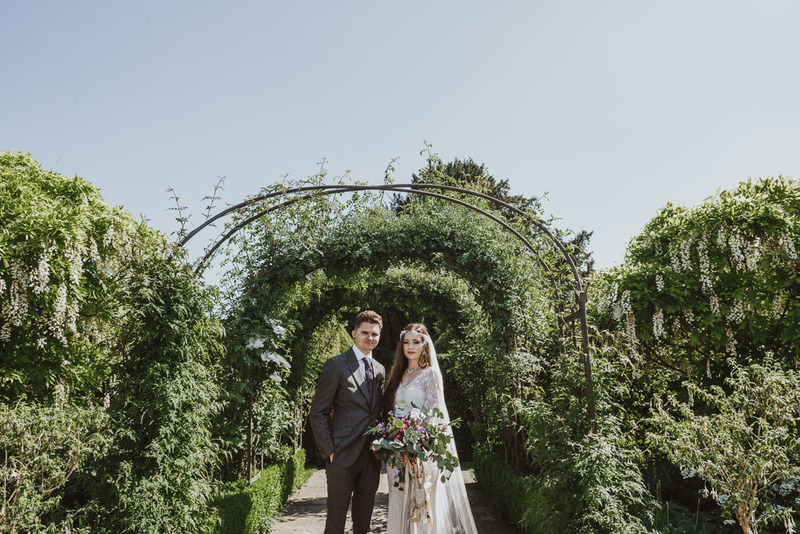 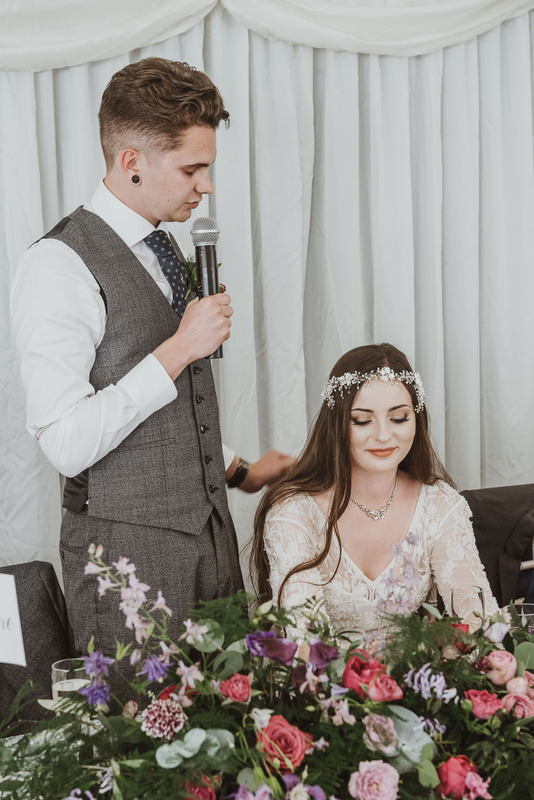 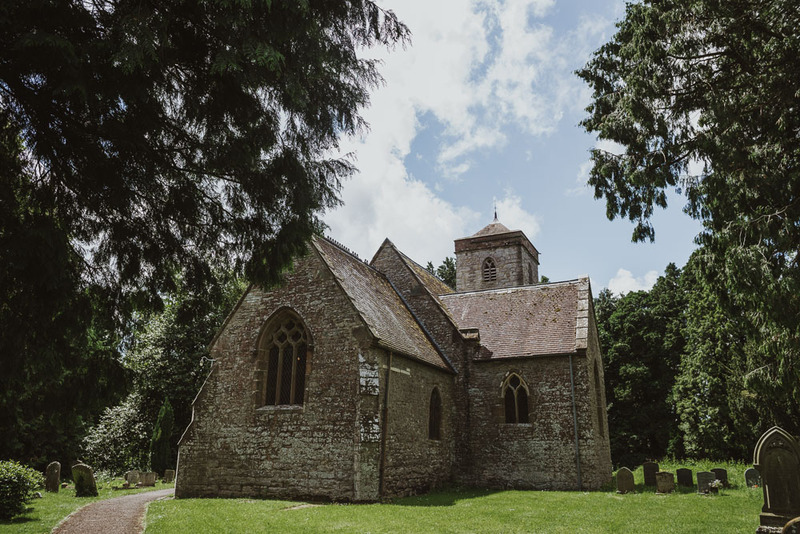 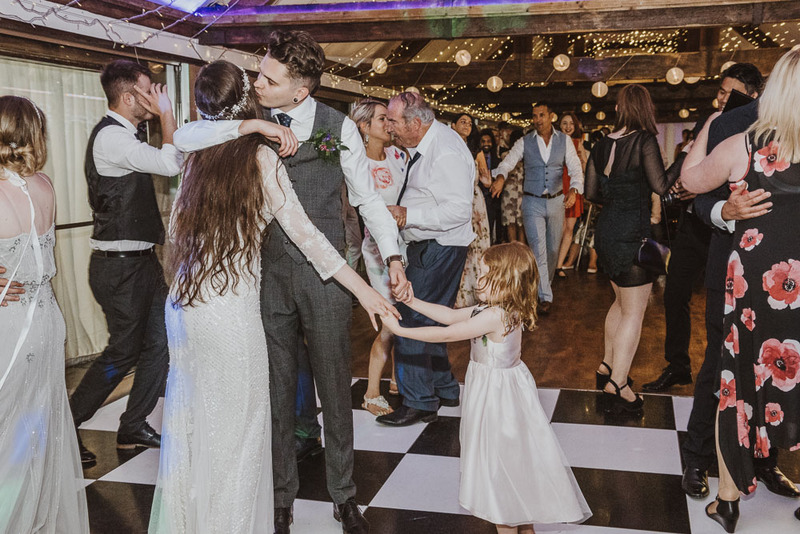 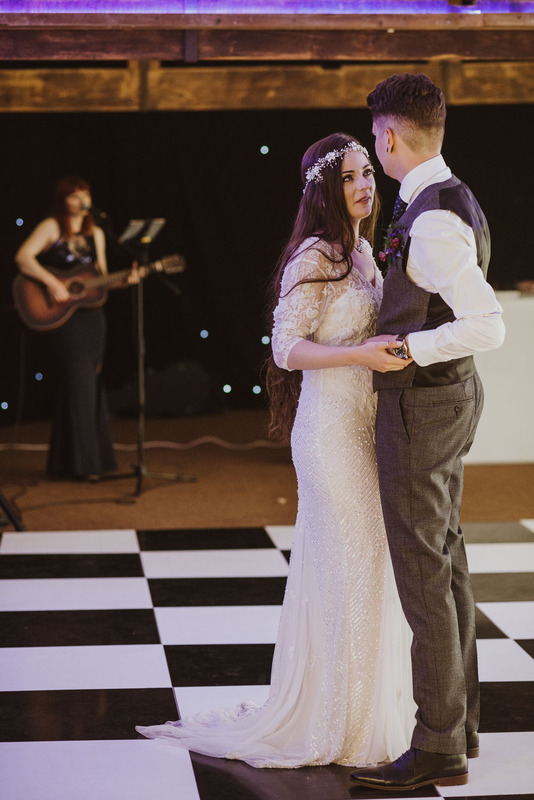 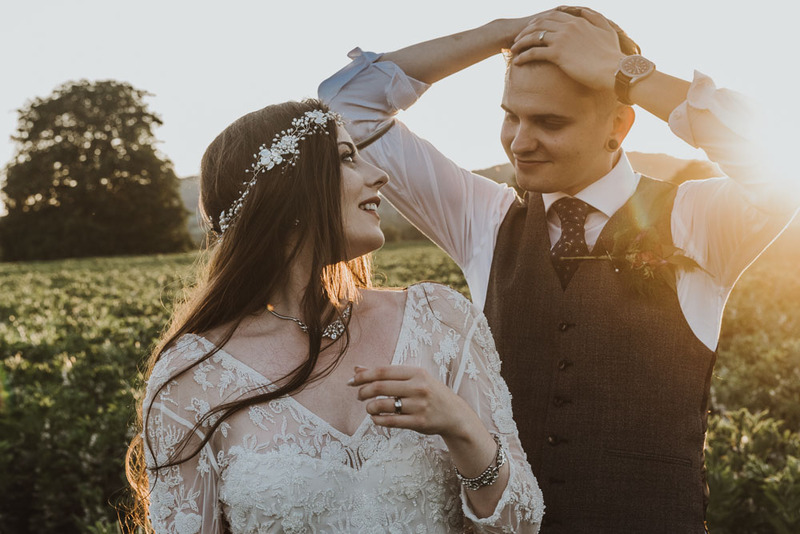 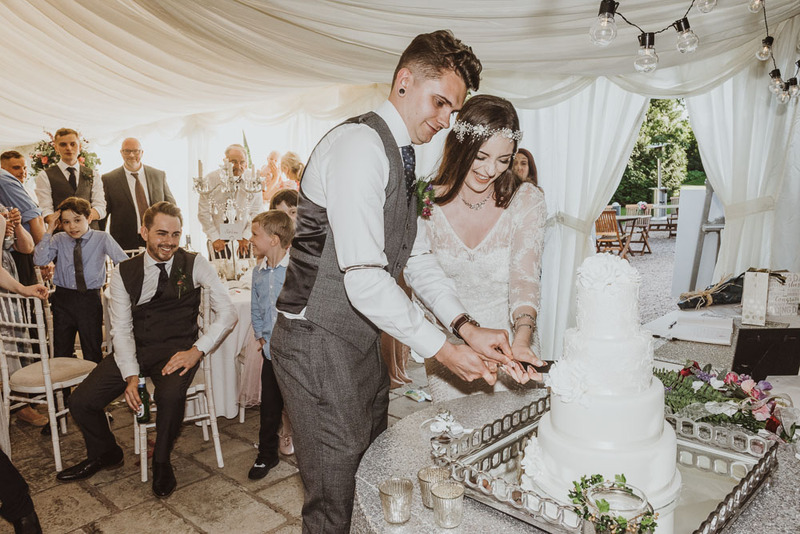 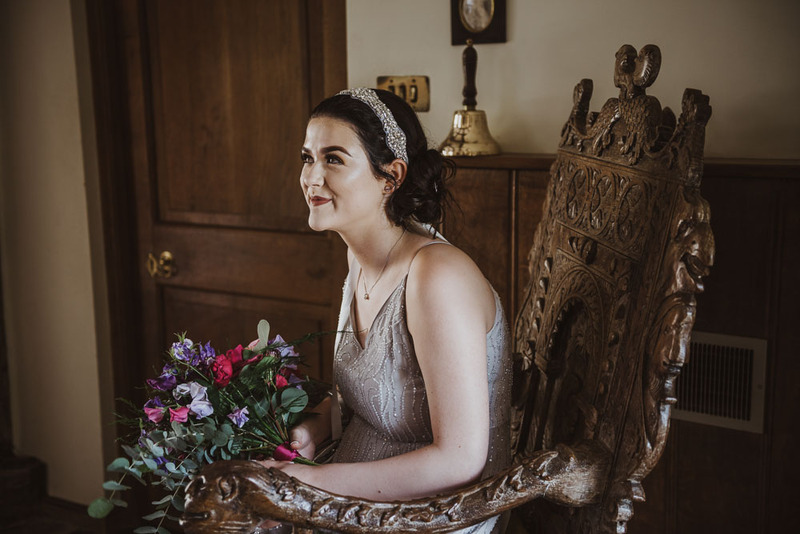 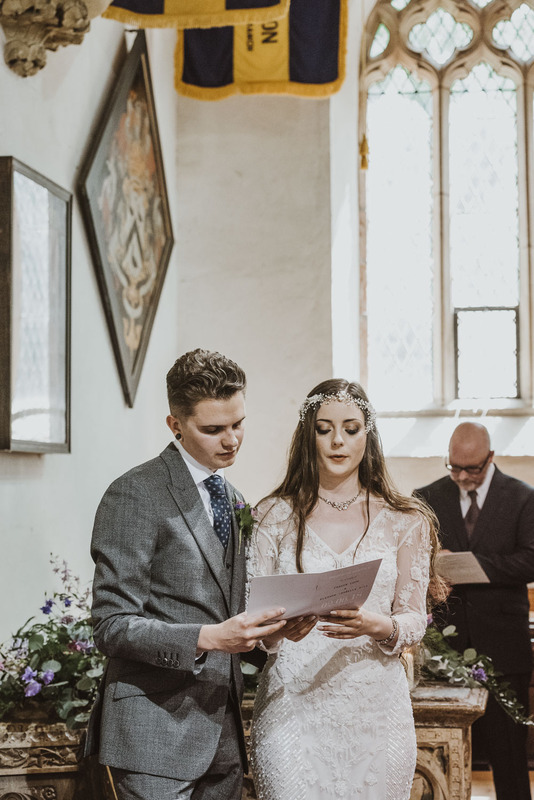 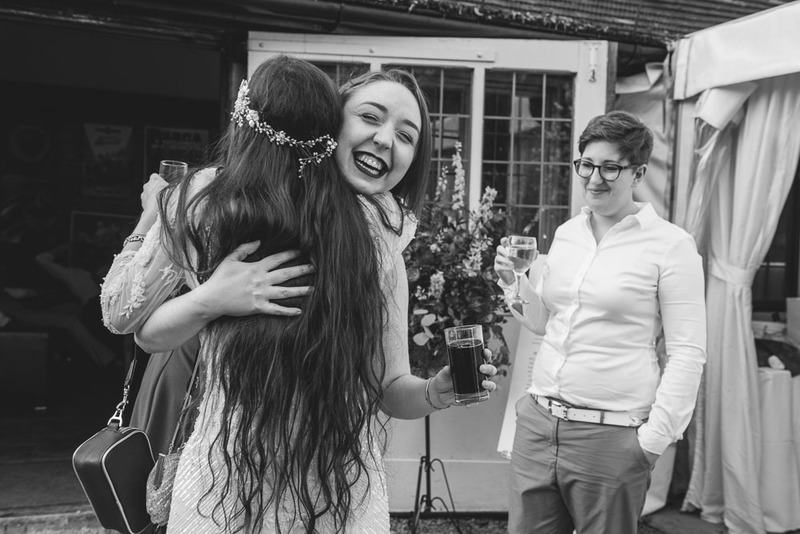 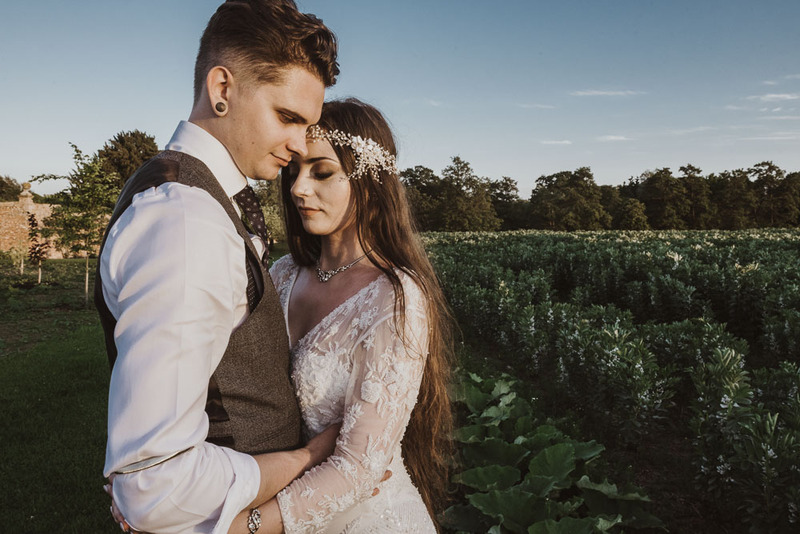 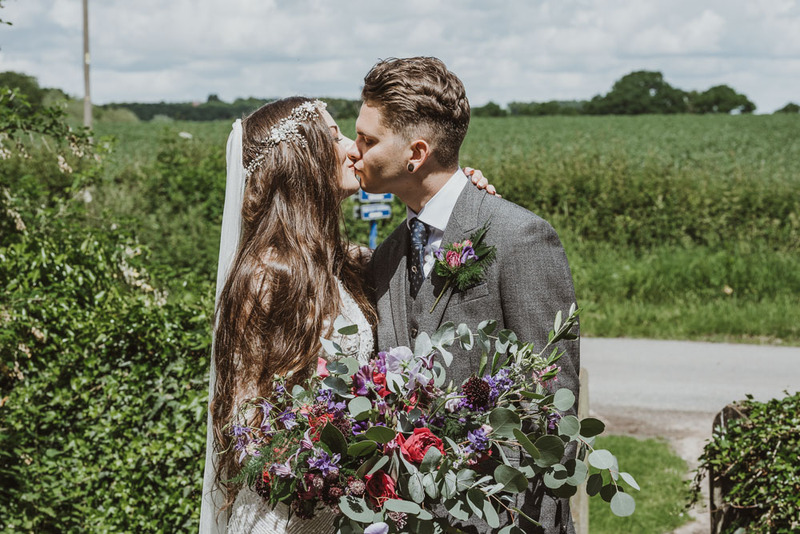 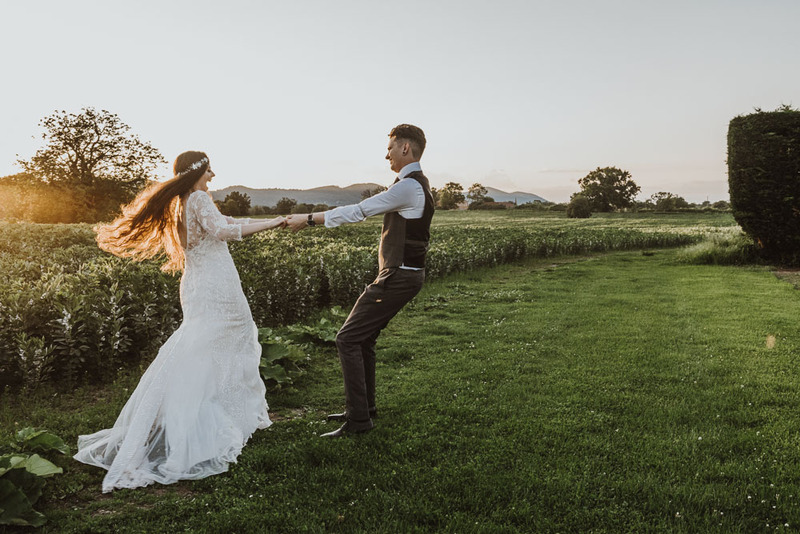 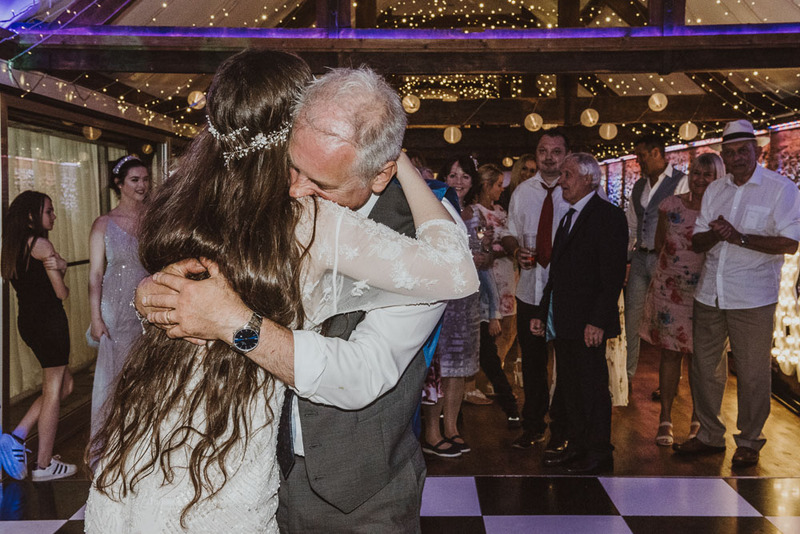 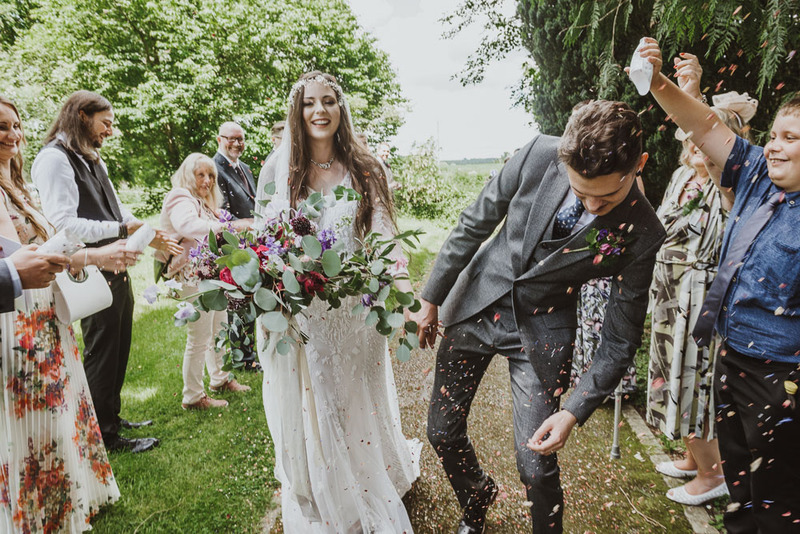 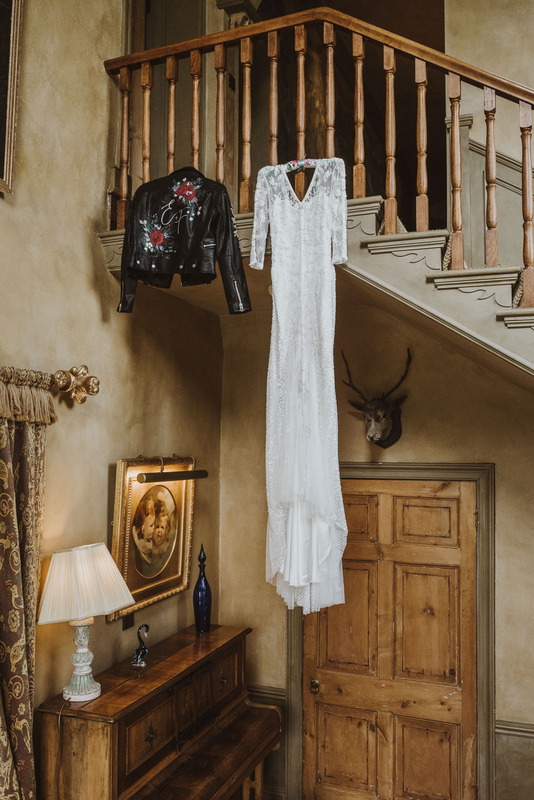 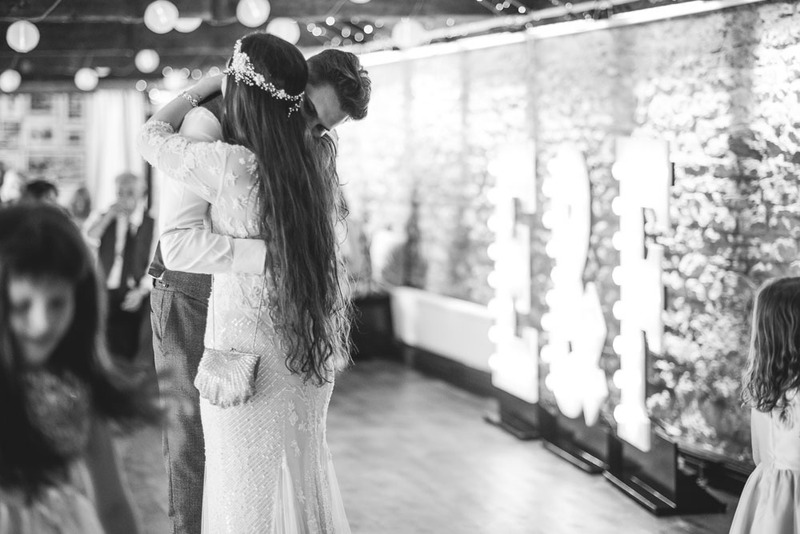 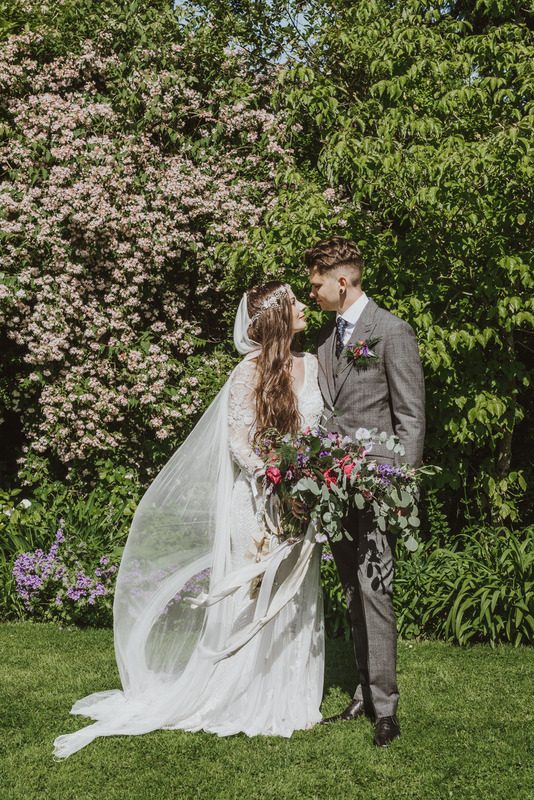 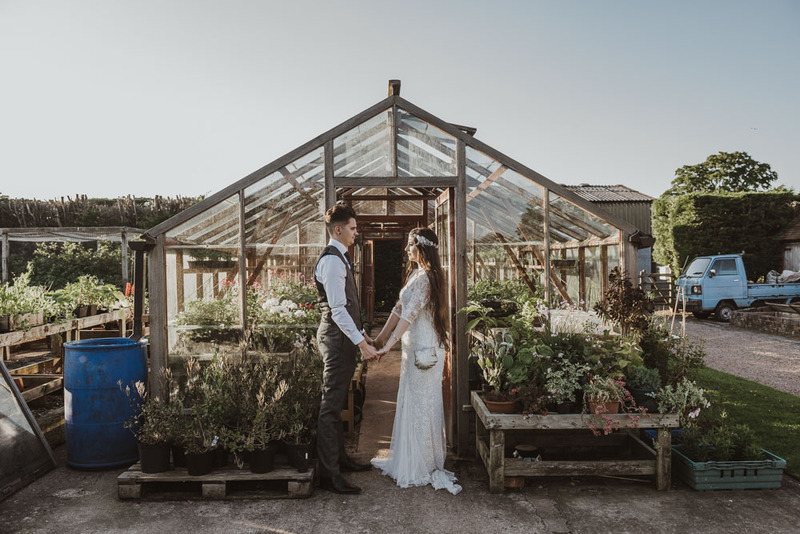 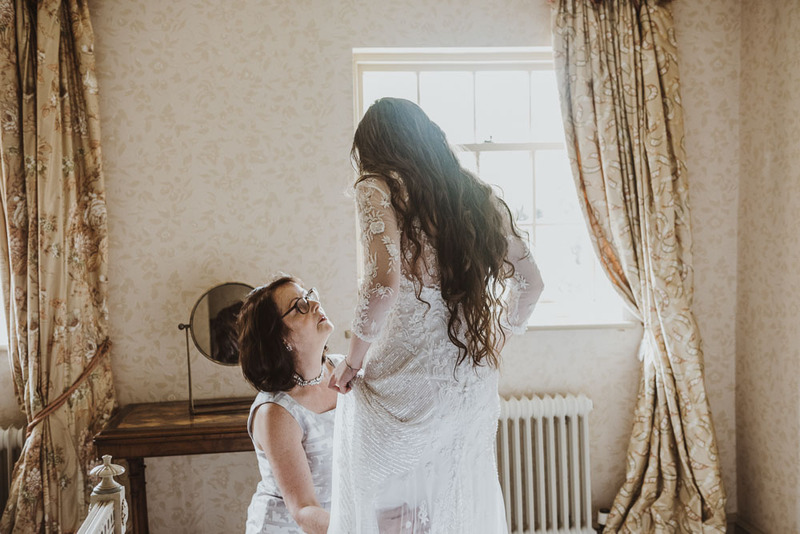 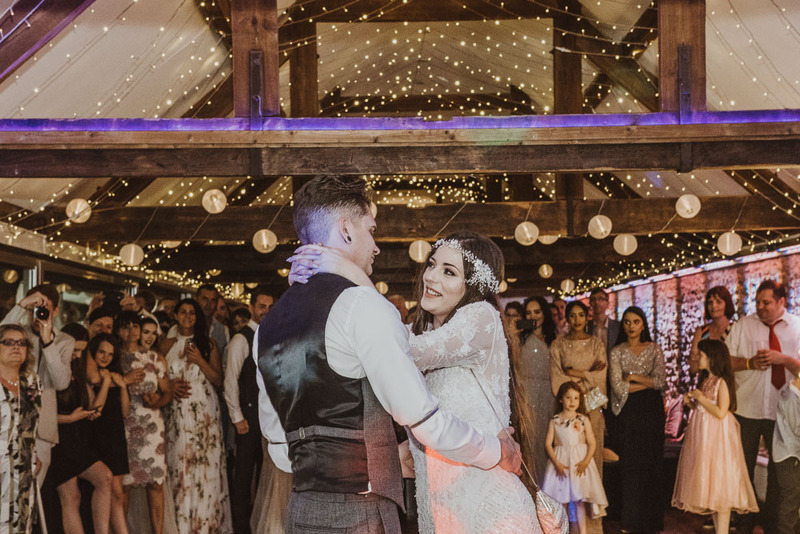 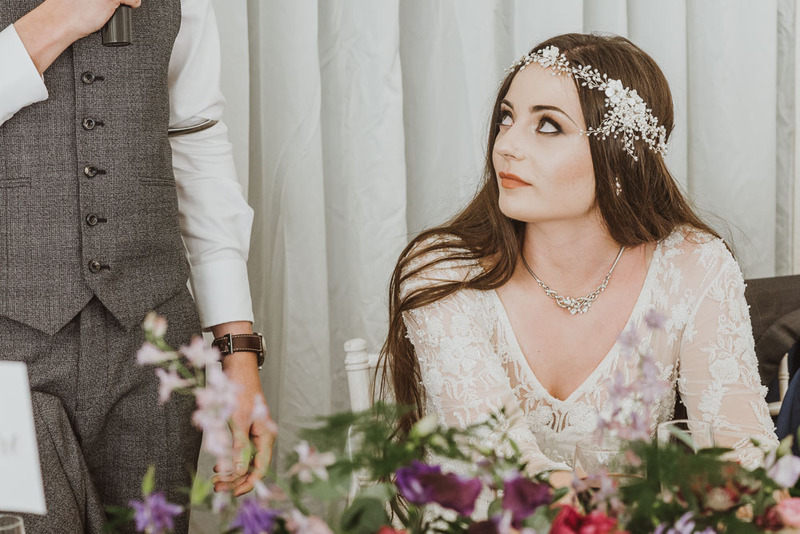 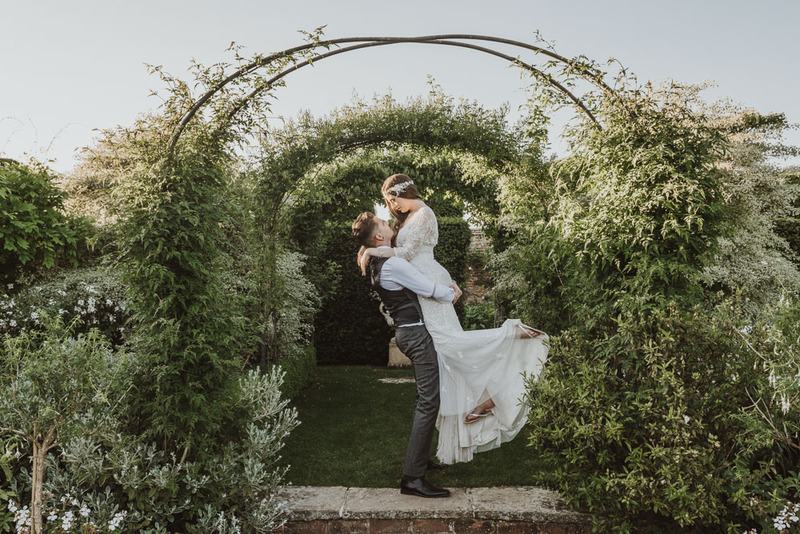 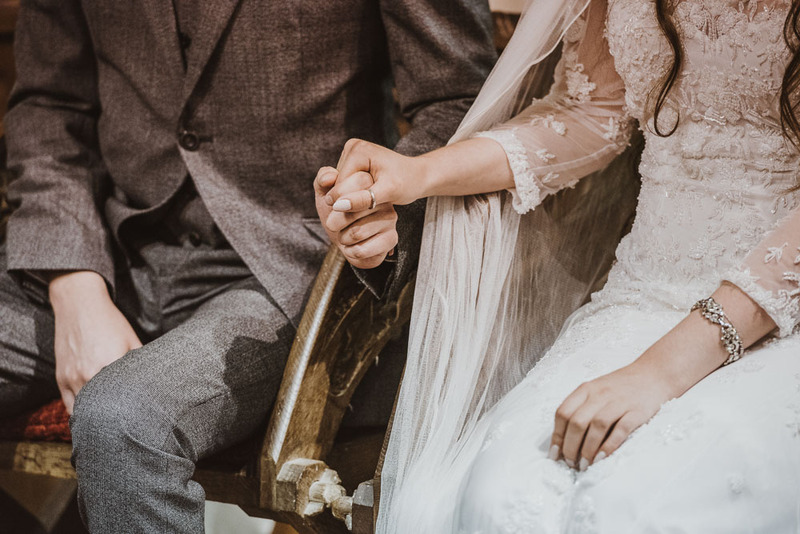 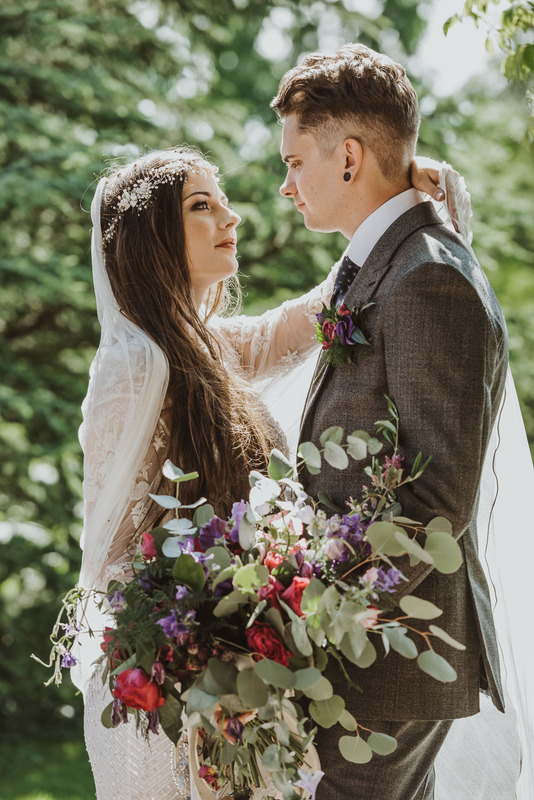 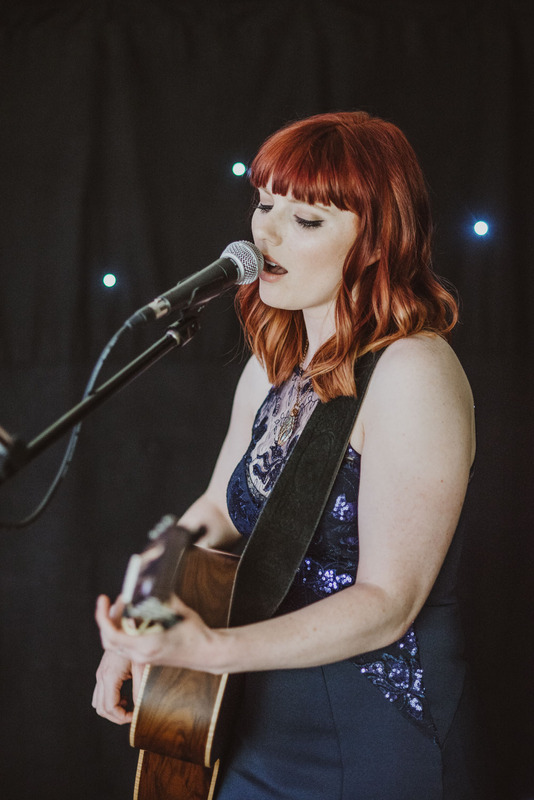 They chose their wedding venue in Worcestershire because of it's Medieval appearance and Ellie was already excited about her outfit (over a year and a half before the actual ceremony day!). 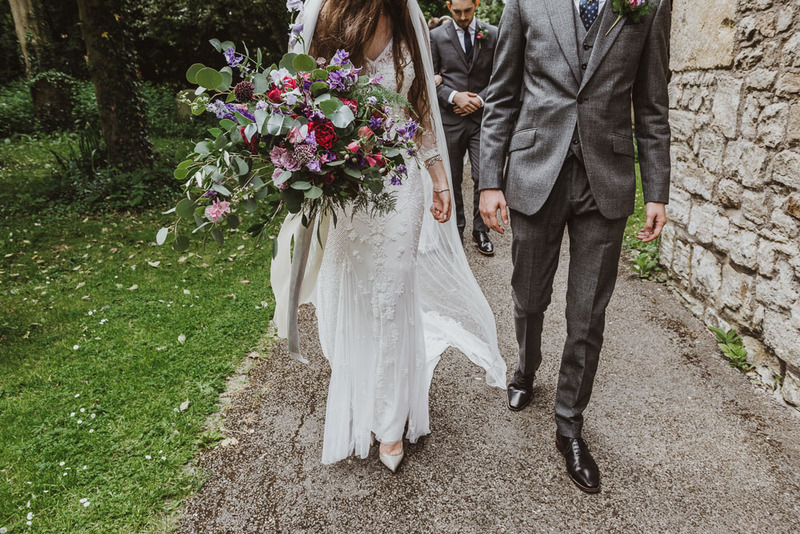 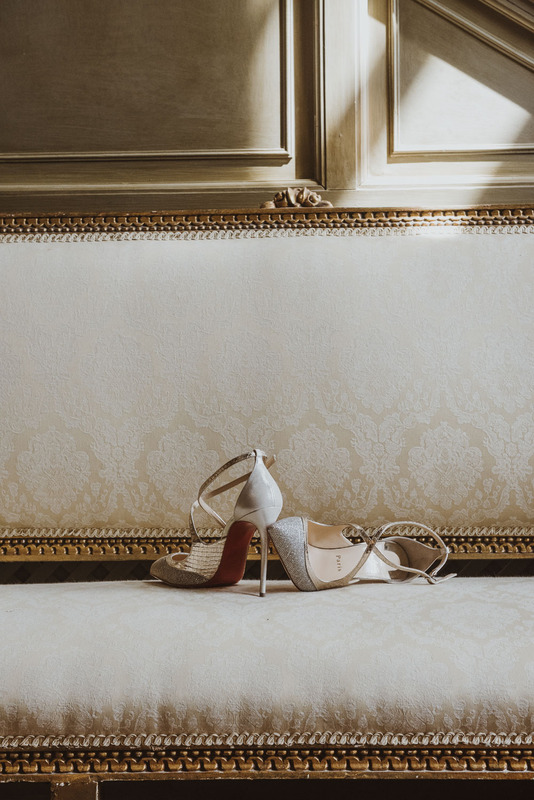 She managed to find a one-off Eliza Jane Howell gown which she paired with a pearl headpiece and the Christian Louboutin shoes she'd been lusting over for a very long time. 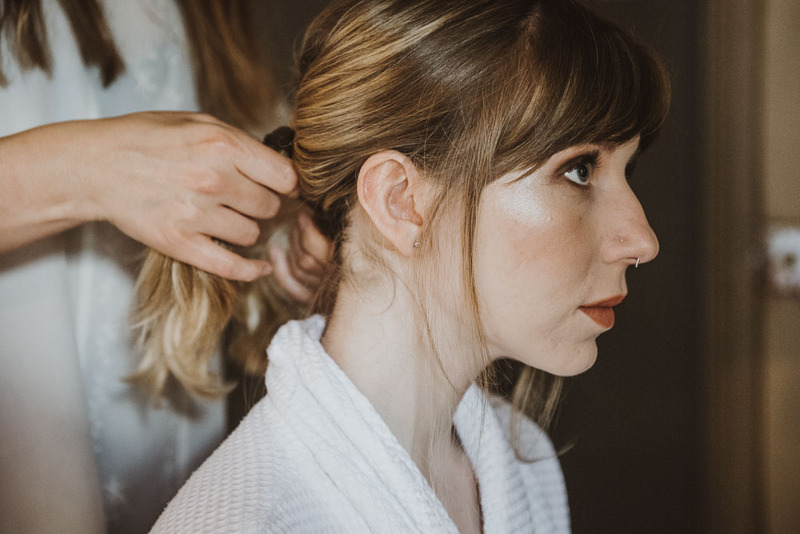 If you don't treat yourself on your wedding day, when? 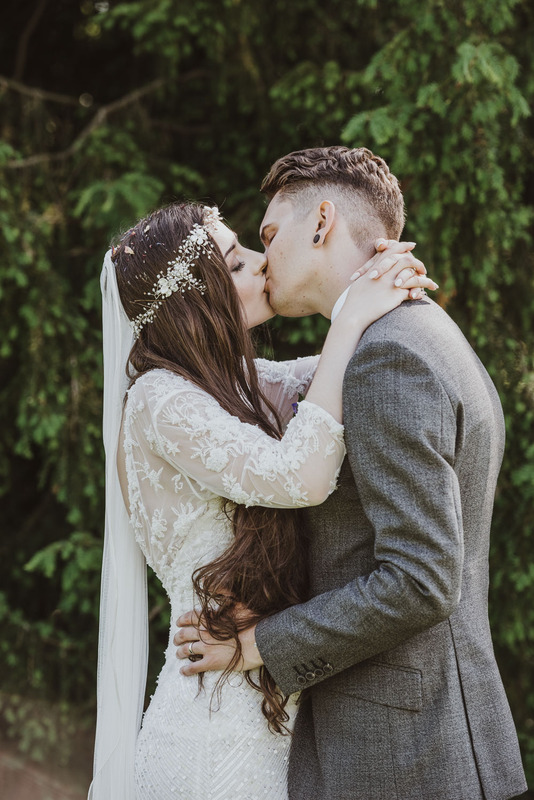 She looked like a magical elf from Lord of the Rings, especially with her waist-long boho hair. 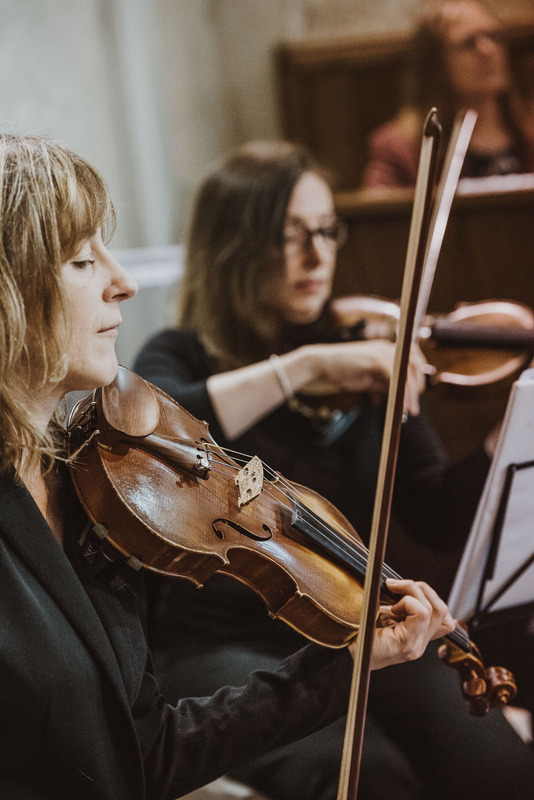 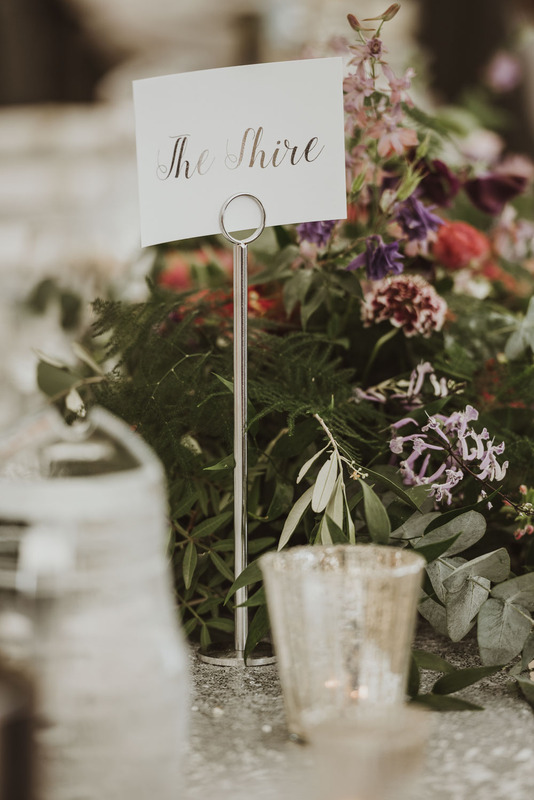 Which was perfect, as their tables were named after locations in Middle Earth and the string quartet kept playing the Lord of the Rings themetune (as well as some rockier tunes and some Game on Thrones too). 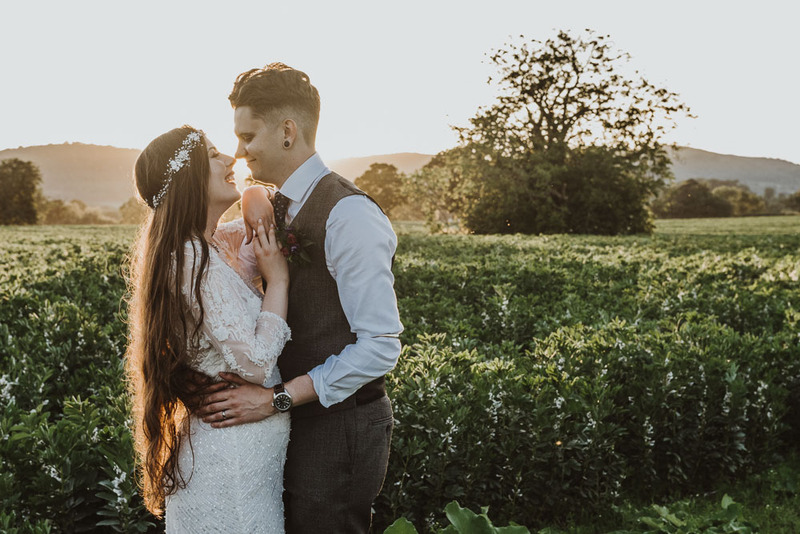 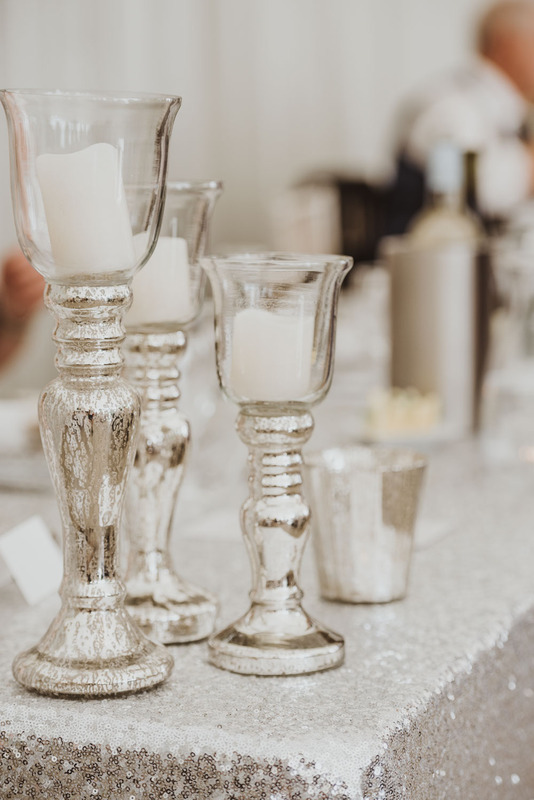 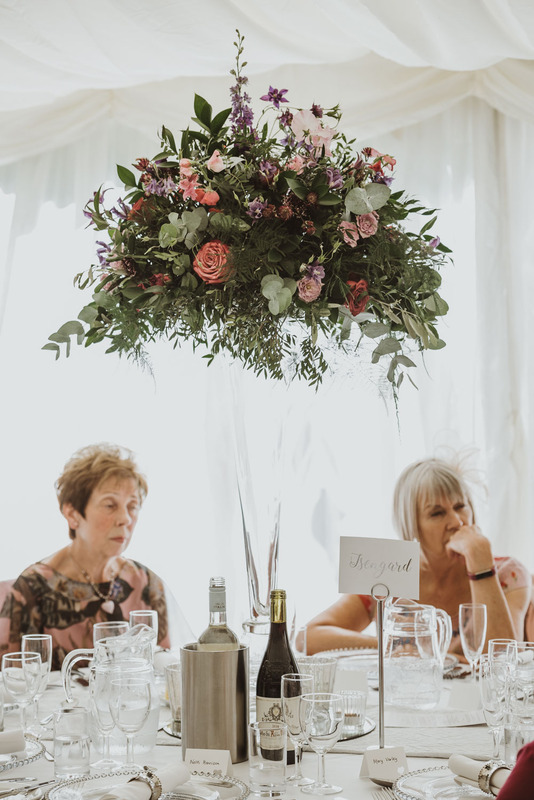 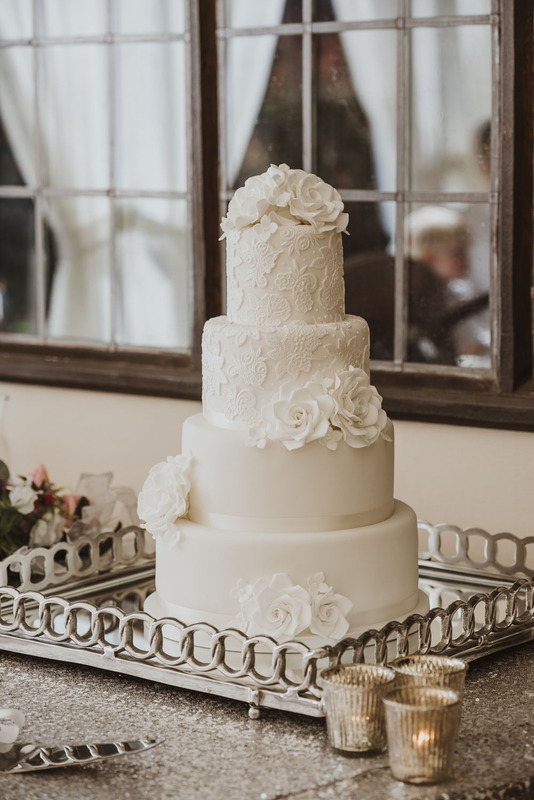 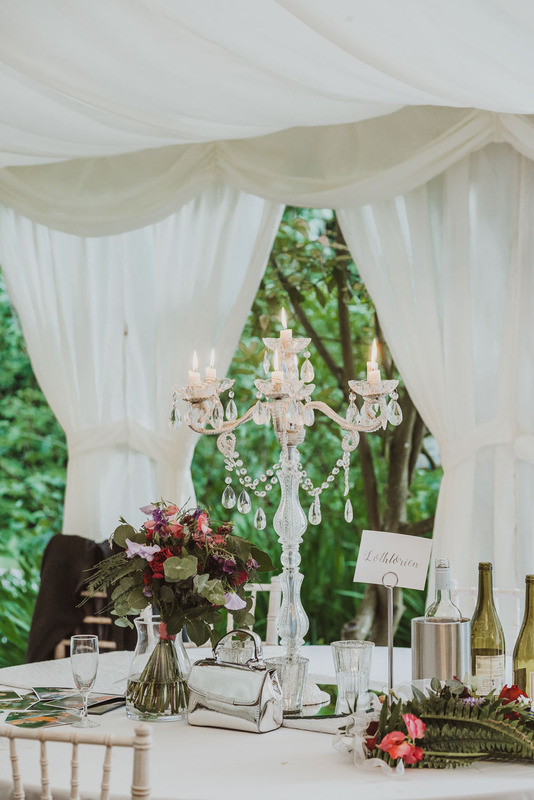 I loved this gorgeous wedding near Malvern! 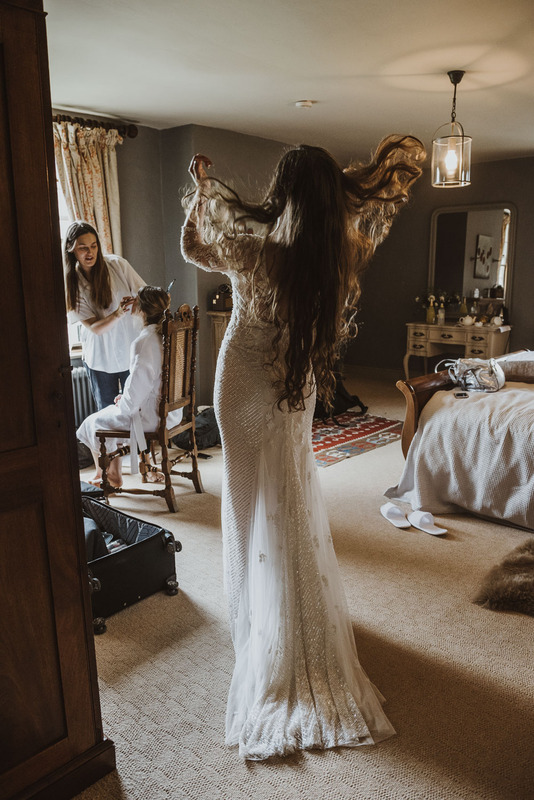 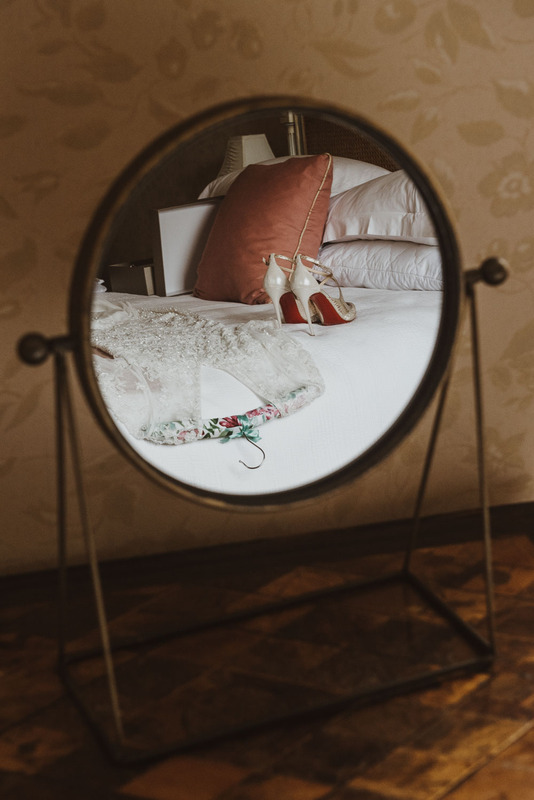 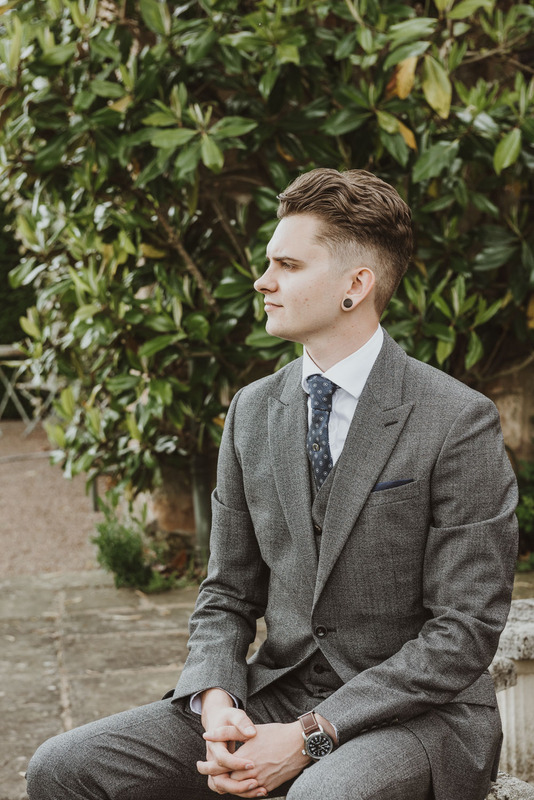 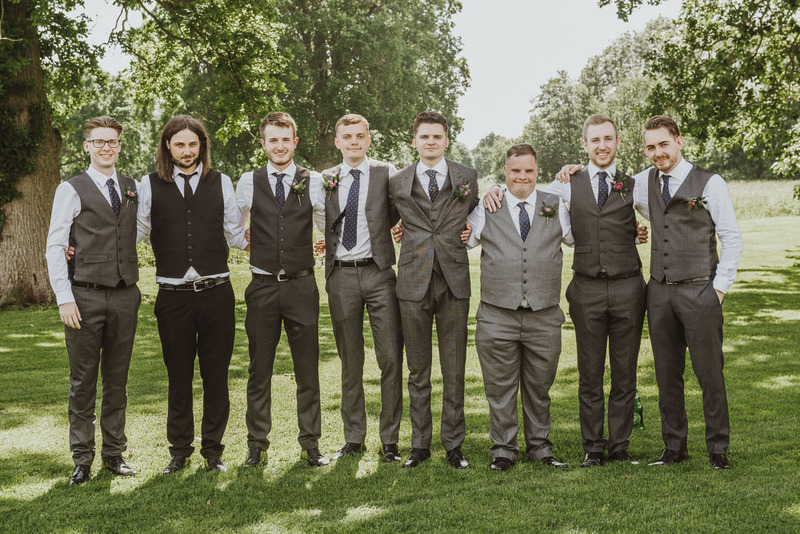 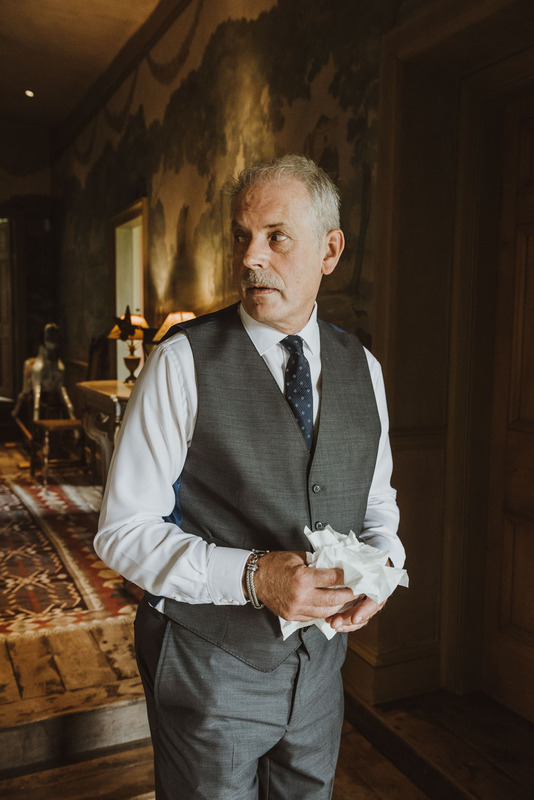 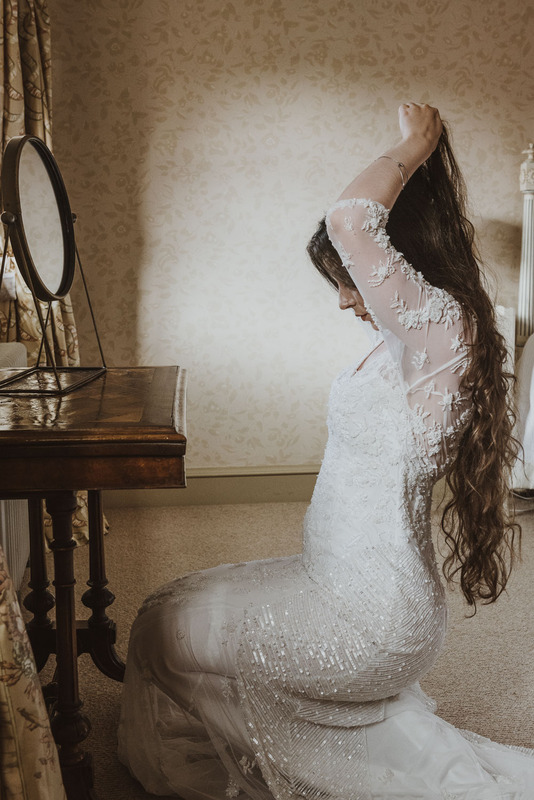 Wedding venue: Birtsmorton Court and getting ready at Pauntley Court. 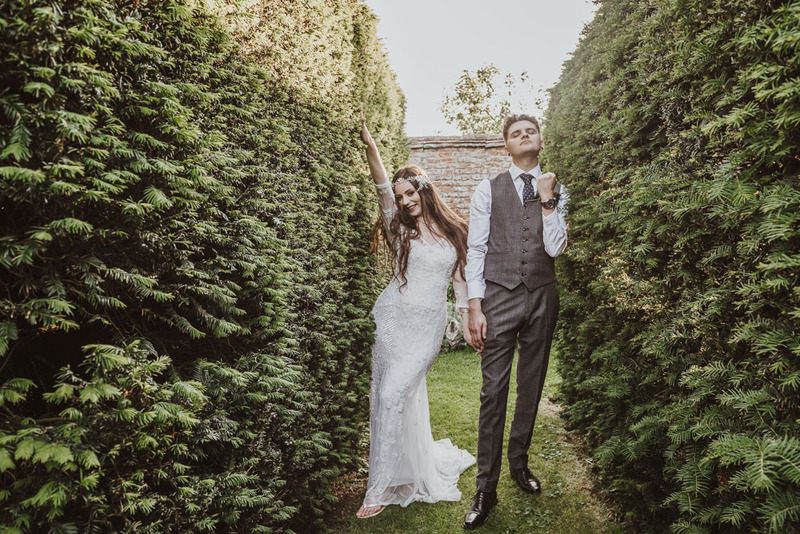 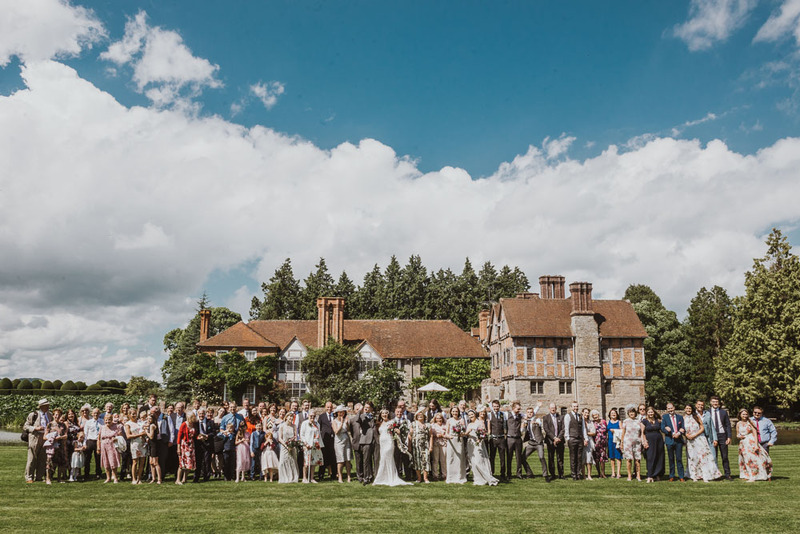 Are you planning your wedding at Birtsmorton Court? 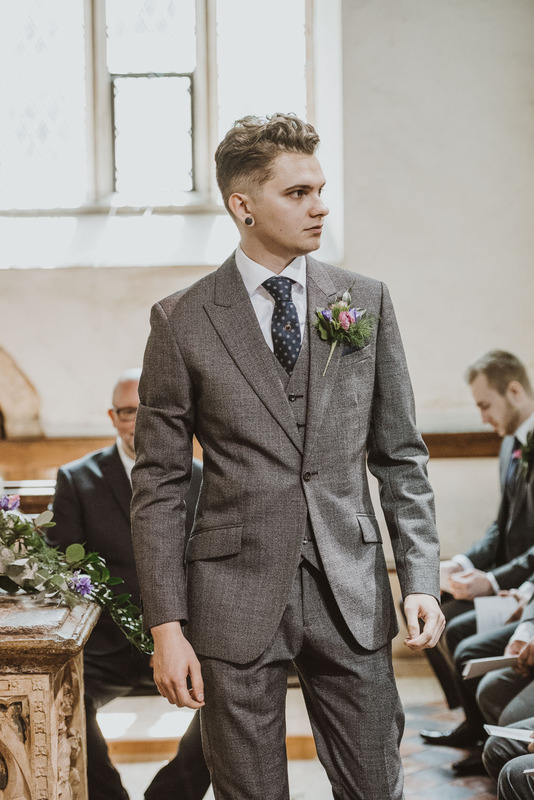 I'd love to be your photographer! 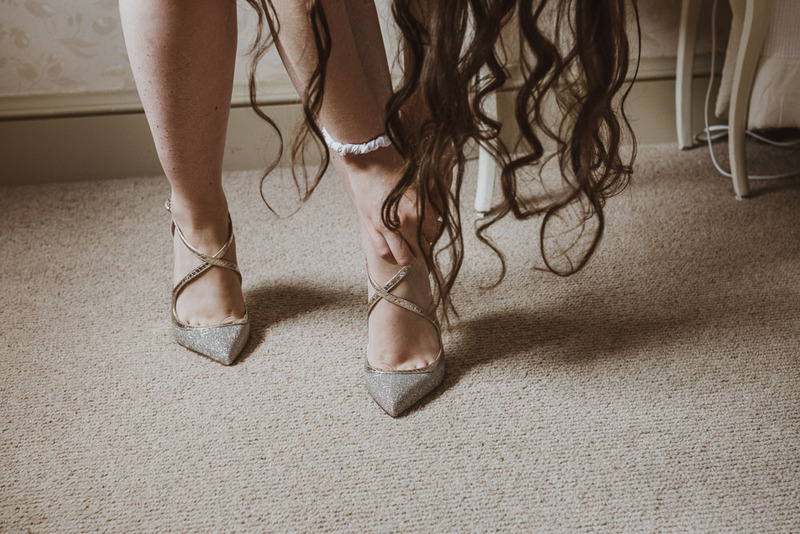 Get in touch to check my availability and my packages.